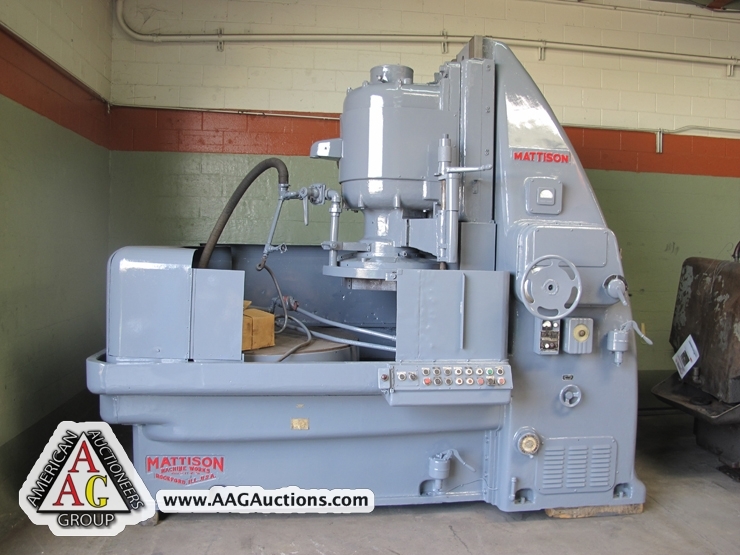 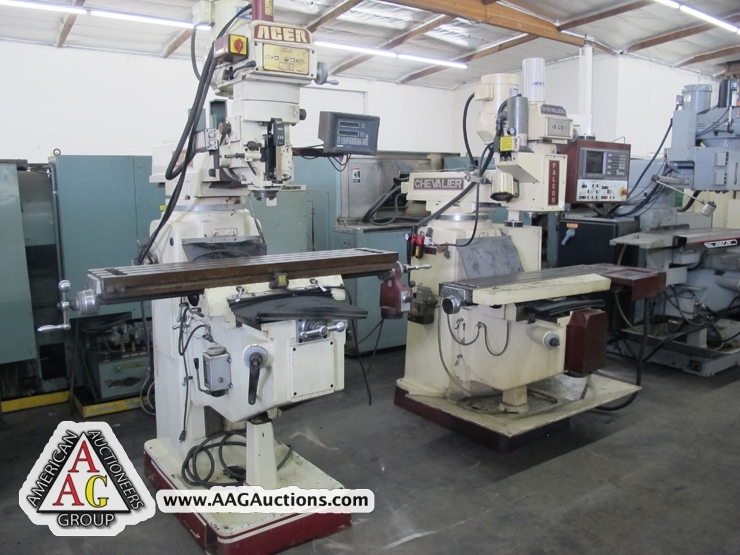 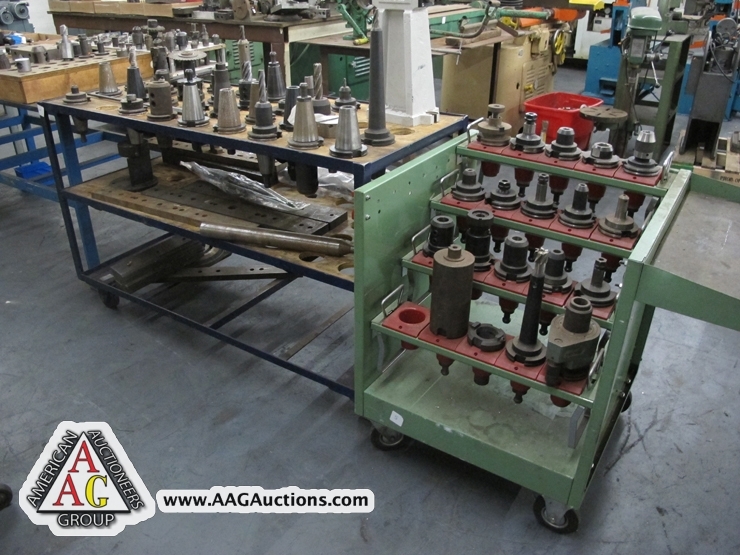 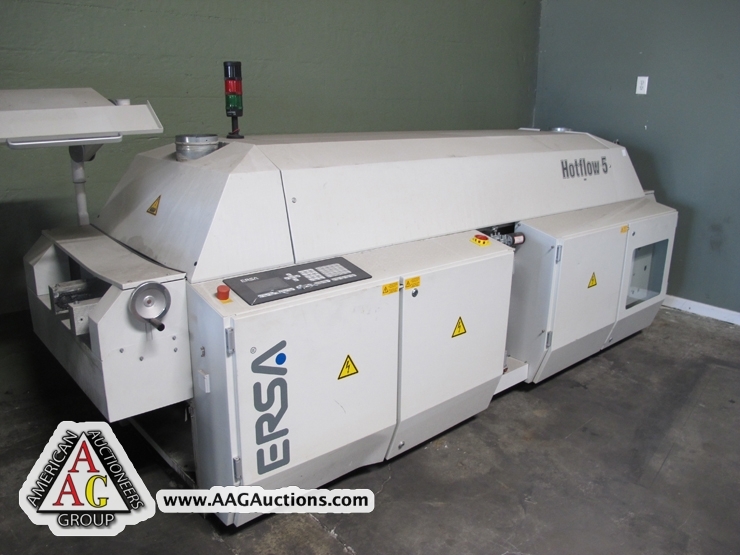 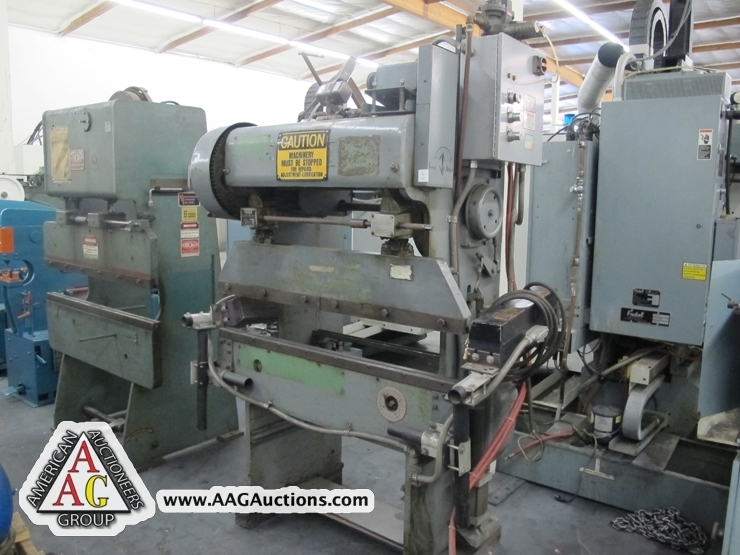 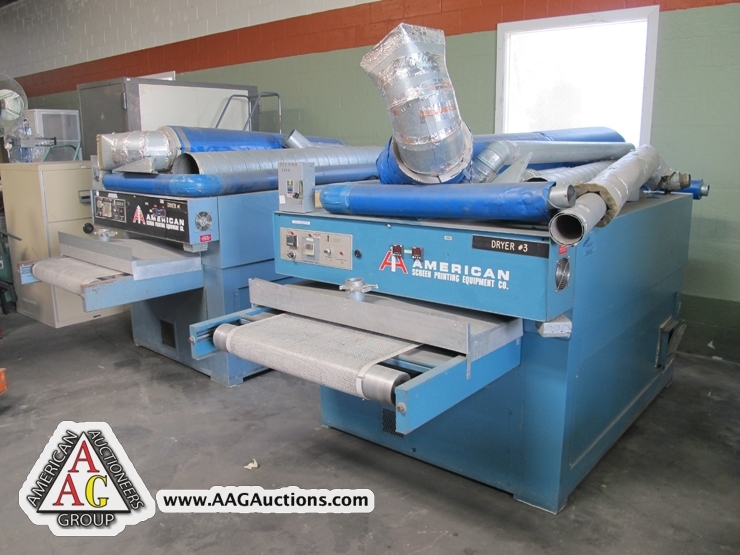 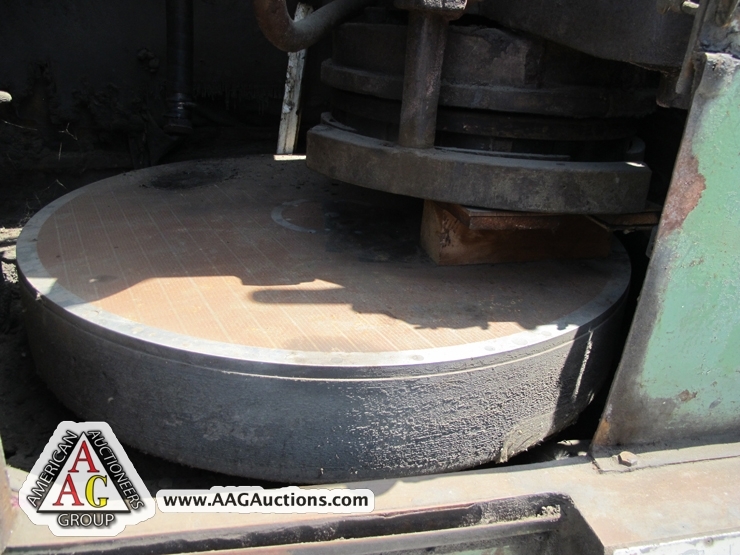 AUCTION DATE: TUESDAY, May 1, 2012 – STARTING @ 11:00 A.M.
MATTISON OERLIKON MODEL 24, 42’’ ROTARY GRINDER, MAG CHUCK, 60 HP, S/N EV-24-0806. 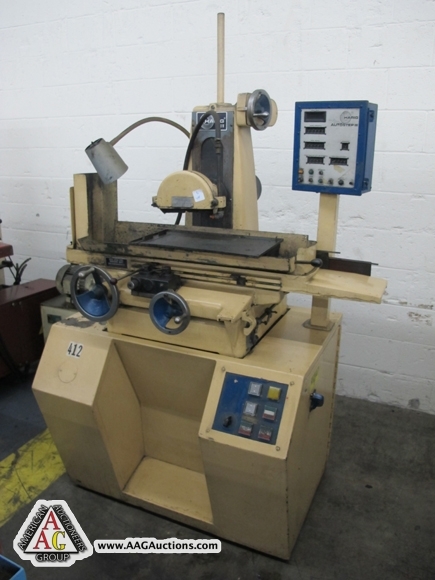 MATTISON 48’’ ROTARY SURFACE GRINDER, WITH .5’’ CHUCK LIFE. 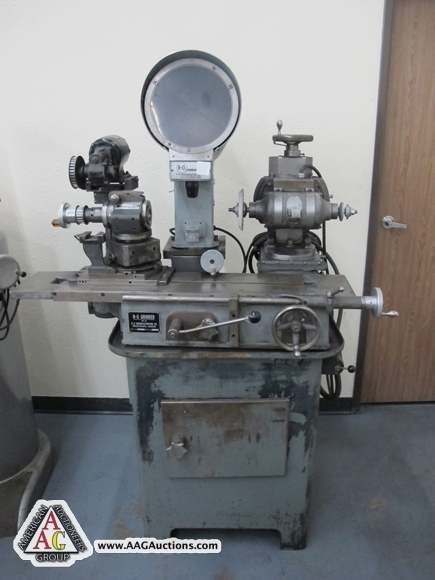 2) BLANCHARD NO. 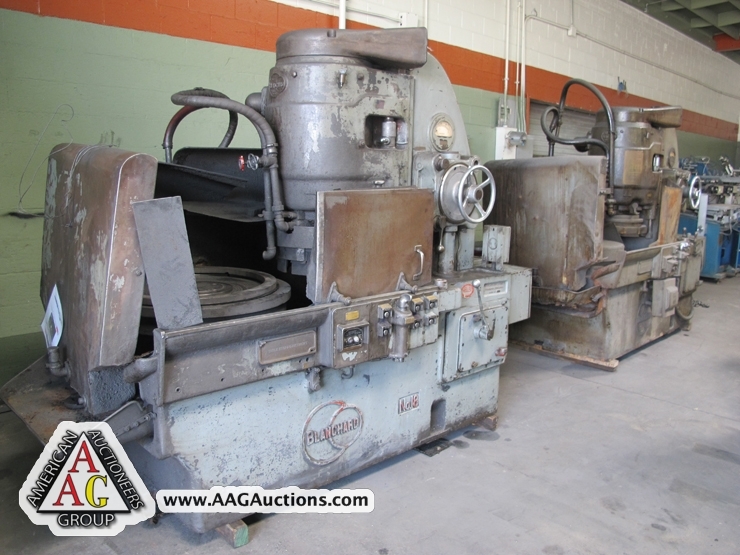 18, 36’’ ROTARY SURFACE GRINDERS, S/N 3262 AND 2050. 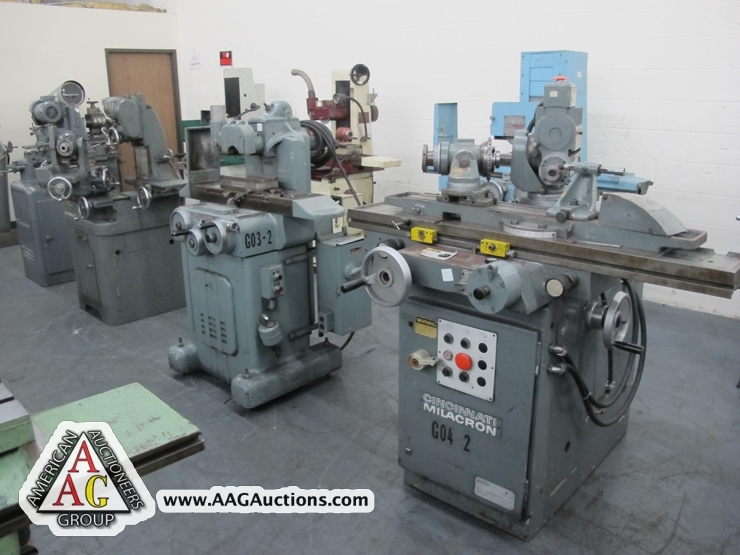 CINCINNATI TOOL AND CUTTER GRINDER MONOSET. 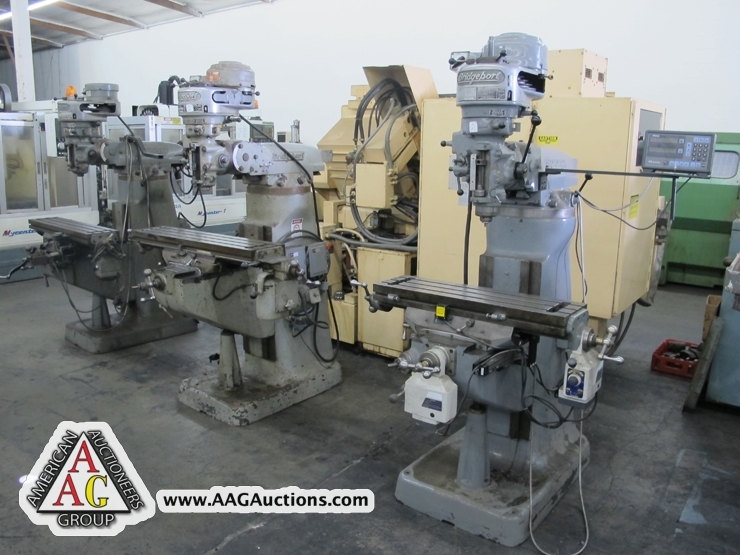 R.O. 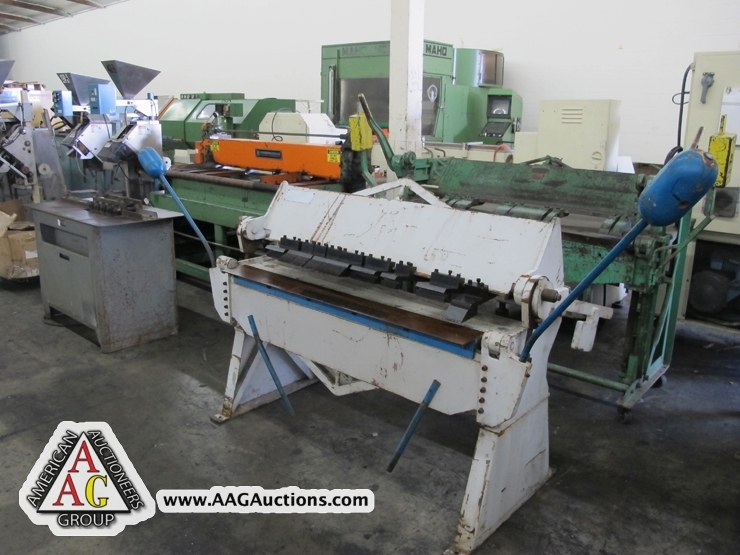 TOOL AND CUTTER GRINDER WITH SCOPE. 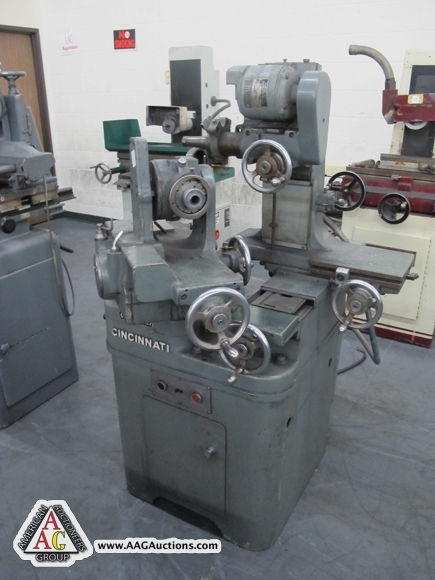 3) CINCINNATI TOOL AND CUTTER GRINDERS. 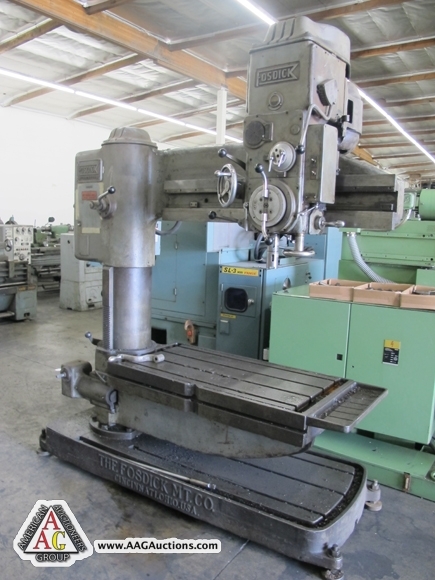 THOMPSON 12 X 40 HYD SURFACE GRINDER. 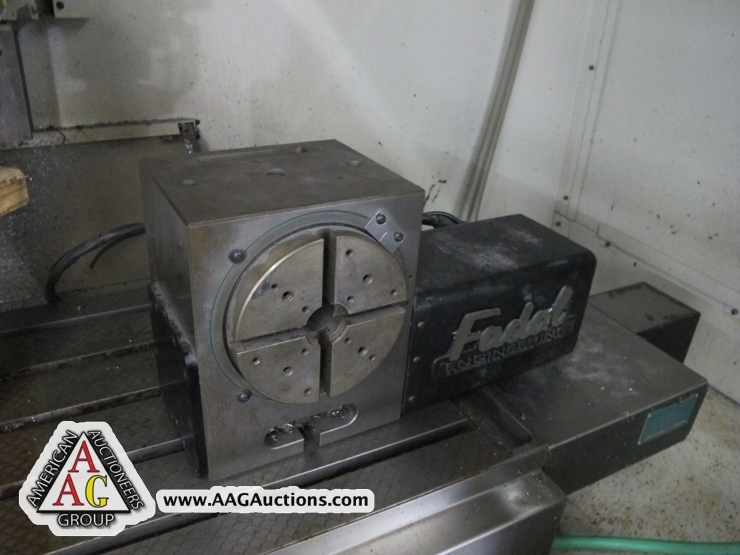 MYFORD PRECISION O.D. 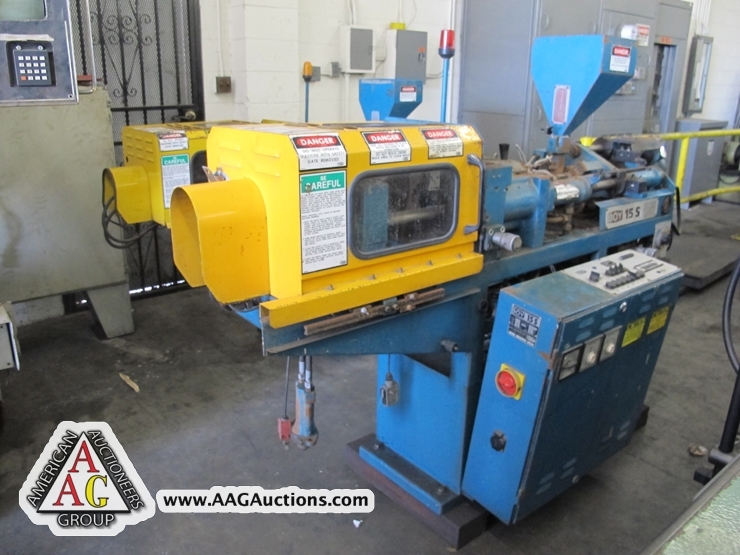 GRINDER S/N HAB2399 CB. 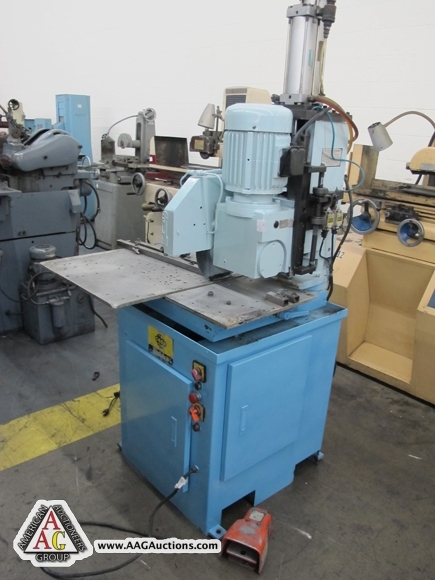 HARIG 6 X 18 SURFACE GRINDER MODEL 618W. 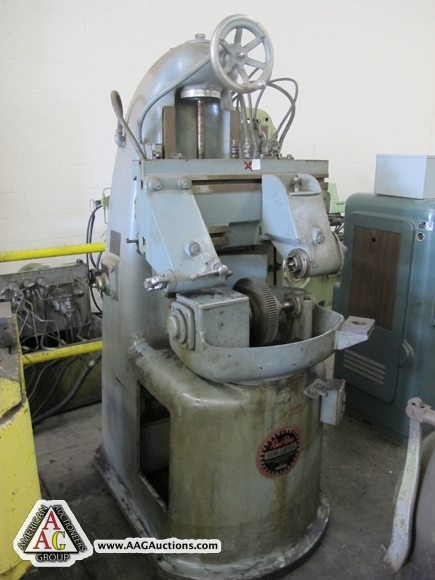 TAFT PIERCE 6 X 12 PRECISION SURFAE GRINDER. 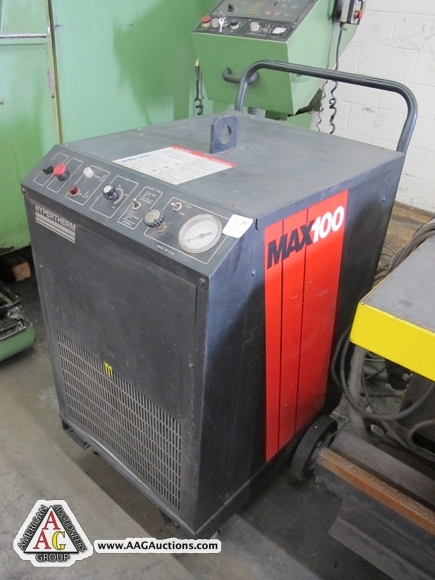 K.O. 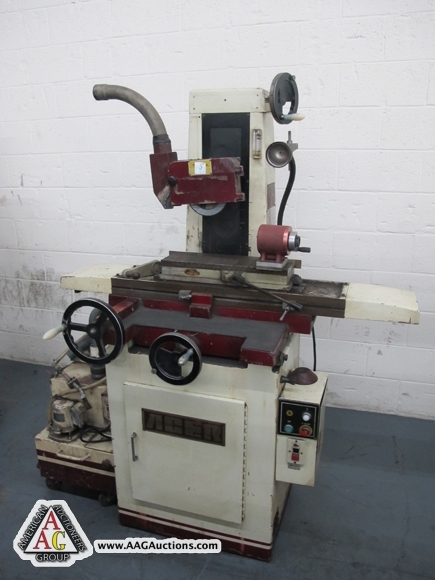 LEE X 18 SURFACE GRINDER MODEL PS818B. 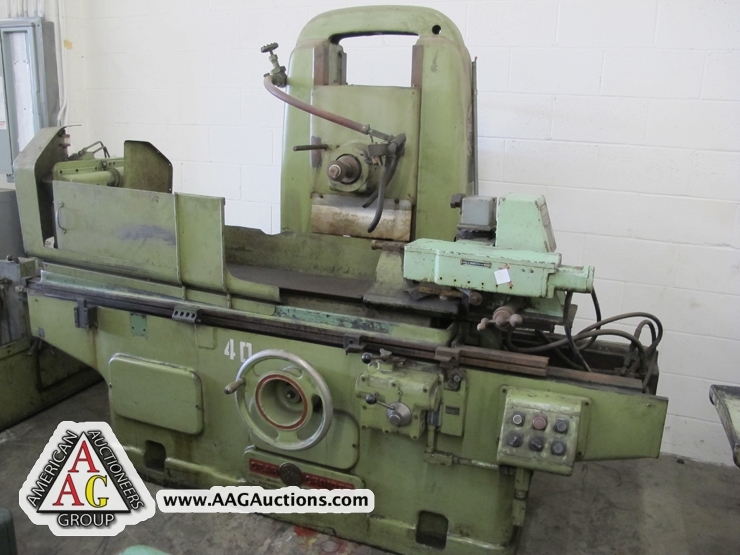 ACER 6 X 18 SURFACE GRINDER MODEL AGS618. 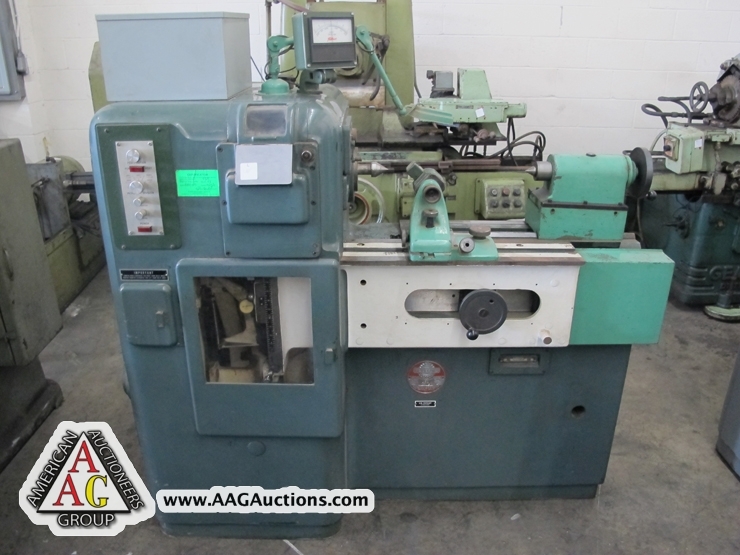 ACER 8 X 18 SURFACE GRINDER HYD, MODEL AGS 1020AHD. 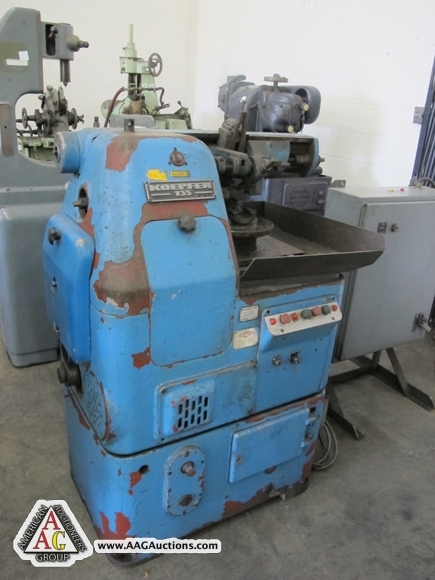 GARDNER 6 X 18 SURFACE GRINDER. 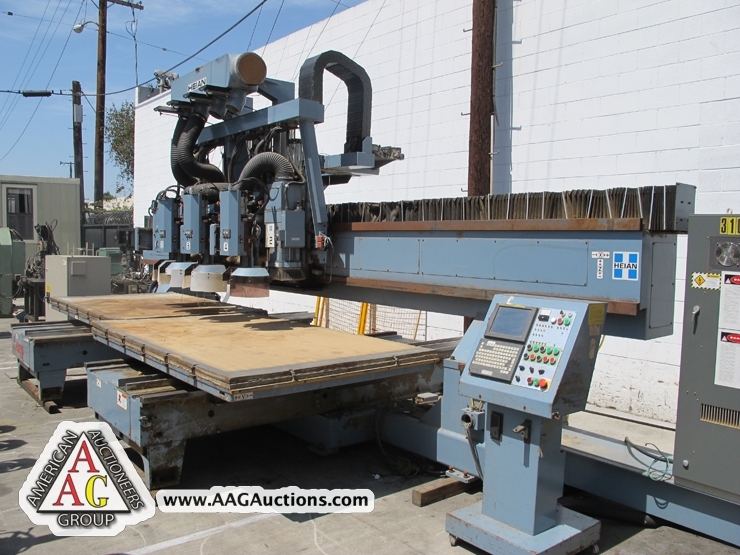 1989 STRIPPIT FC1250-30 CNC PUNCH LASER TURRET PUNCH, WITH SINAR ROFIN RESONATOR (LOCATED IN HUNTINGTON PARK, CA) KOIKE 6FT X 20FT PLASMA CUTTING SYSTEM, WITH MAX 100 PLASMA POWER SUPPLY. 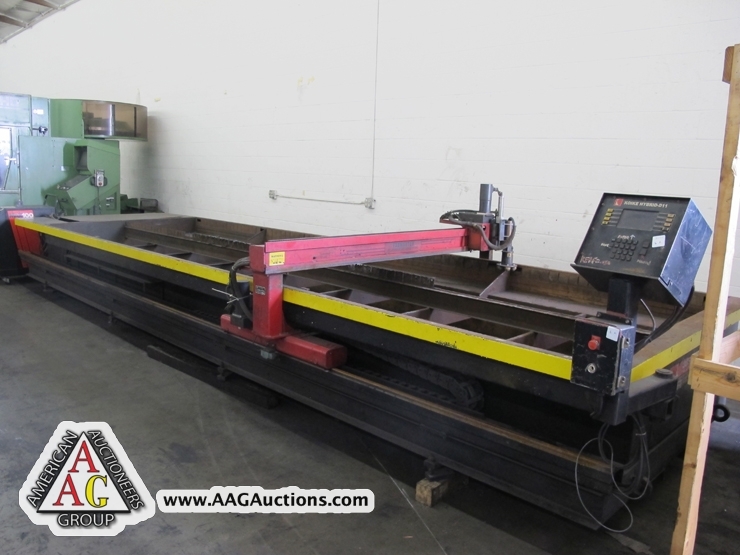 CINCINNATI 8FT X 90 TON AUTOSHAPE HYD PRESS BRAKE, 2 AXIS, S/N 43357. 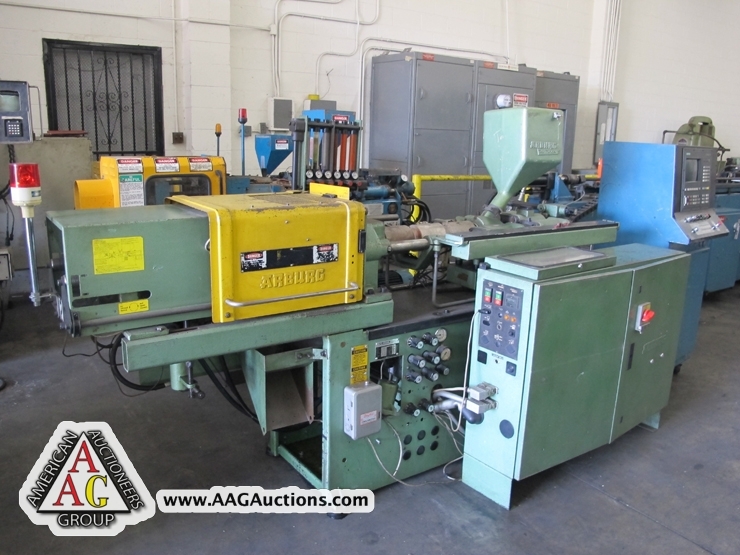 CINCINNATI 10FT X 135 TON AUTO SHAPE HYD PRESS BRAKE, 2 AXIS, AUTO CROWN, S/N 43869. 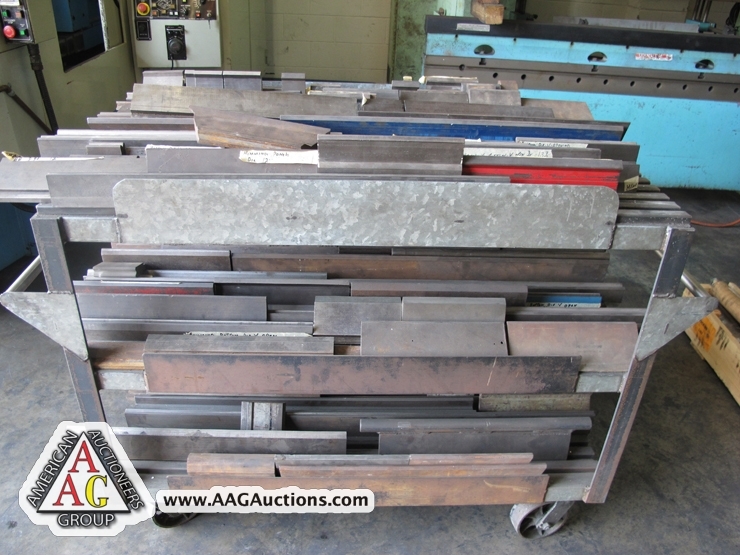 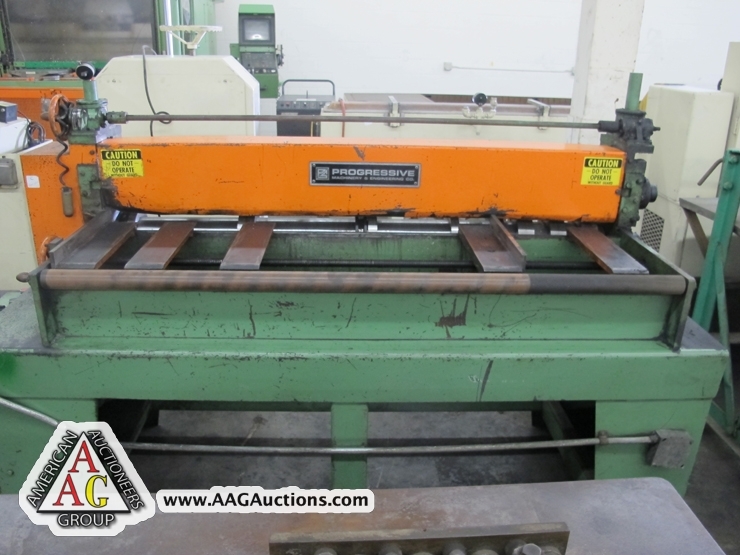 AIDA 121 TON GAP FRAME PUNCH PRESS, WITH 50 SPM, 6.6’’ STROKE, 41.7’’ X 22’’ BED. 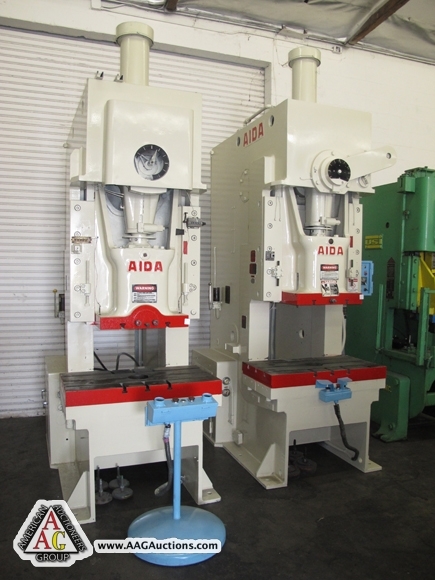 AIDA PP-100SU (I), 121 TON GAP FRAME PUNCH PRESS, 50 SPM, 4.1’’ STROKE, 41.7’’ X 22’’ BED. 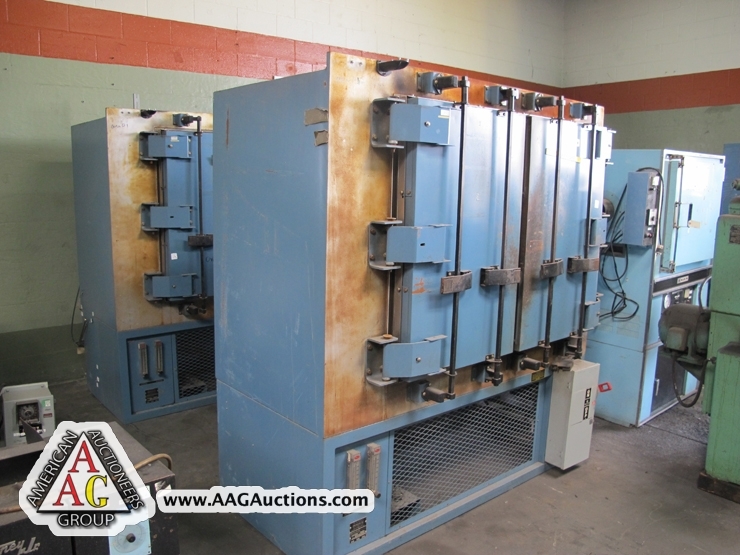 1989 FEDERAL 2-60 (48 X 24) S.S. PUNCH PRESS, 3’’ STROKE, 60 TON, 60- 180 SPM, 48 X 24 BED. 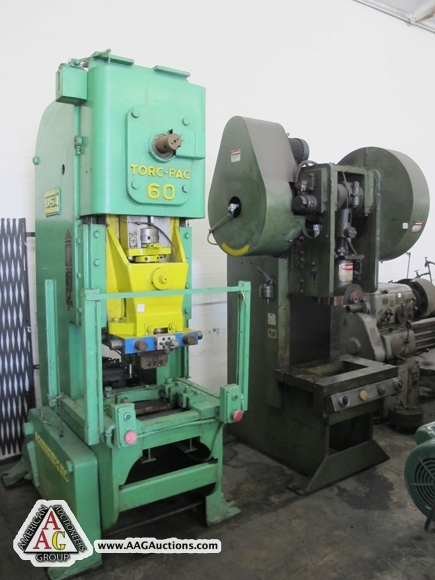 UCI TORC PAC 60 TO GAP FRAME PUNCH PRESS. 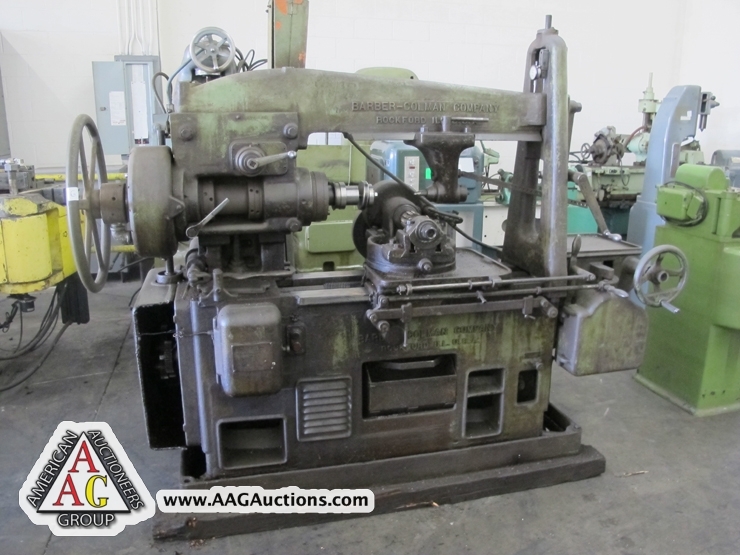 HEIM 70 TON GAP FRAME PNCH PRESS, MODEL 7GA, S/N 1927. 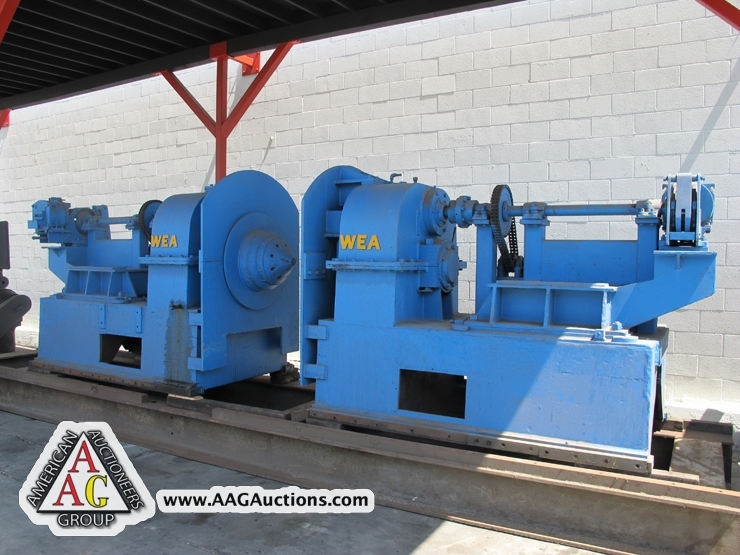 WEA 50,000 LB UNCOILER, 36’’ – 72’’ ADJUSTABLE CONE TYPE, H.D. 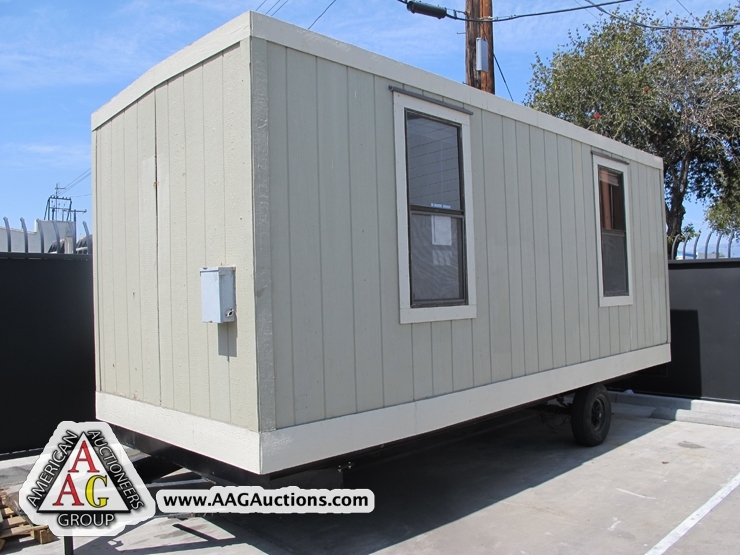 BASE. 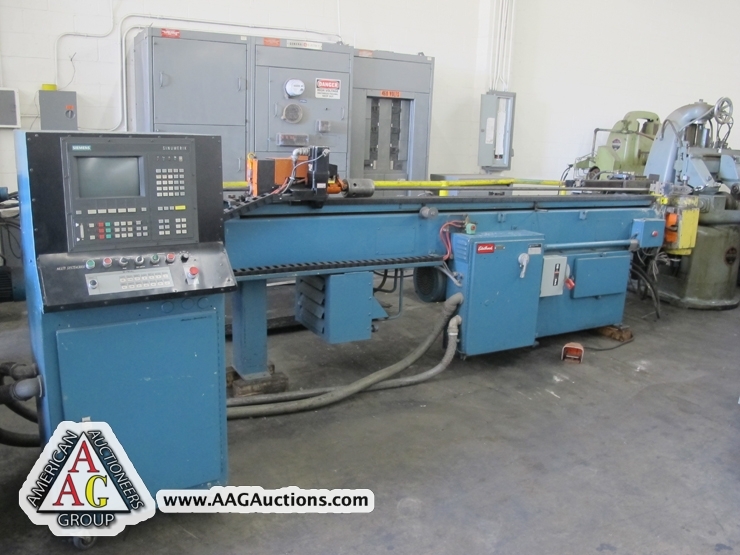 EATON LEONARD VB300-GP, CNC TUBE BENDER WITH SIEMENS CONTROL. 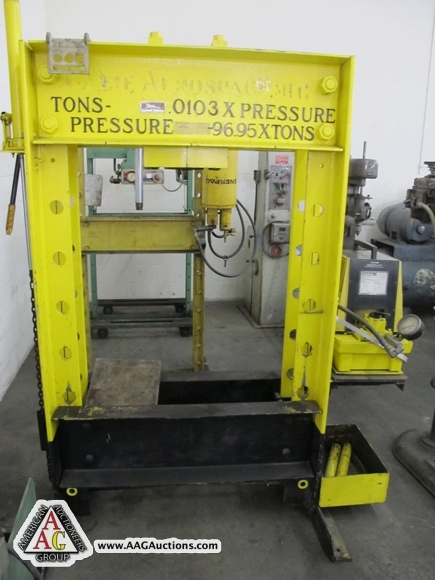 SCOTCHMAN 65 TON IRON WORKER, HYDRAULIC. 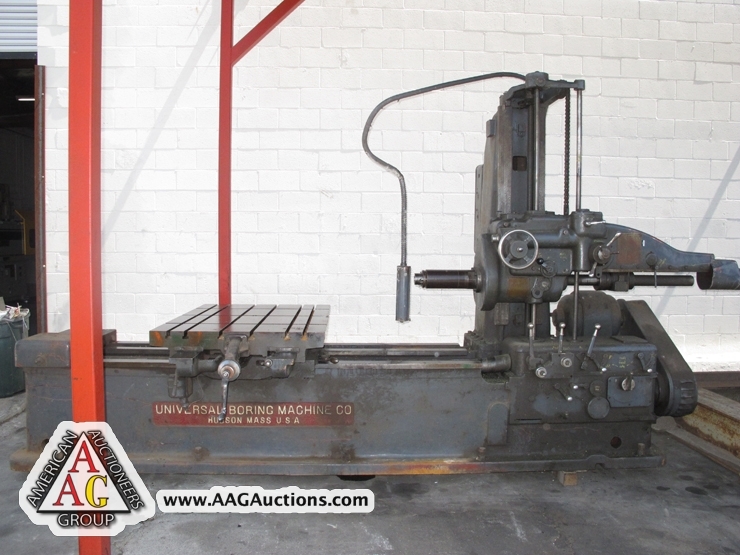 SCOTCHMAN FI-85/140, 85 TON HYD IRON WORKER. 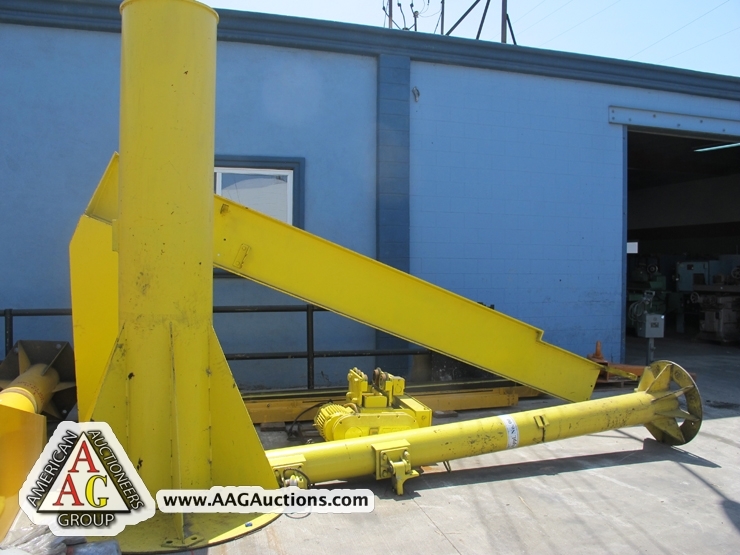 2) SCOTCHMAN 4014, 40 TON HYD IRON WORKERS. 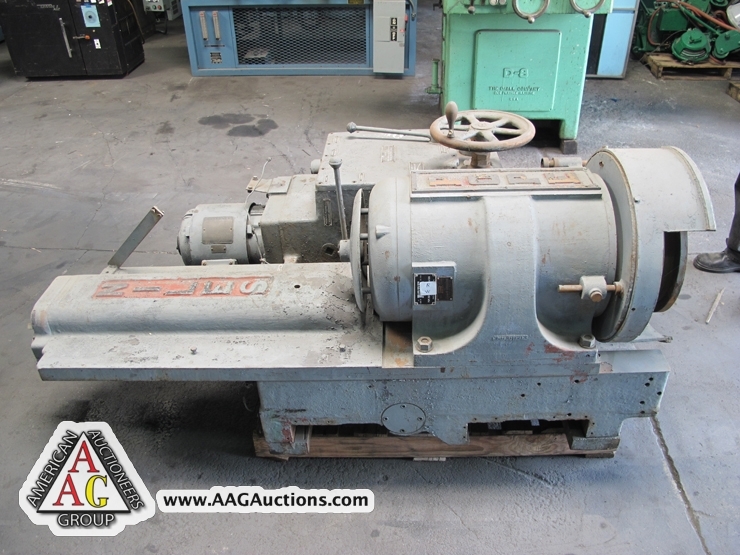 DIACRO MODEL 185 ROTARY TURRET PUNCH. 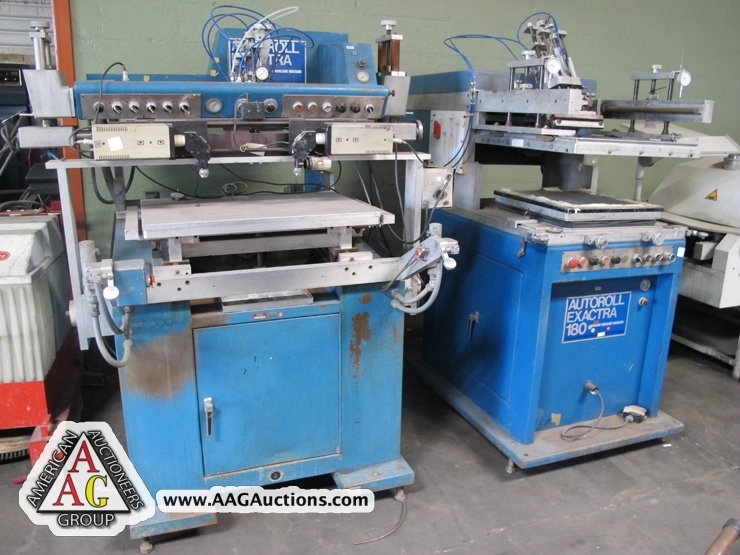 CHICAGO 4FT MECHANICAL PRESS BRAKE. 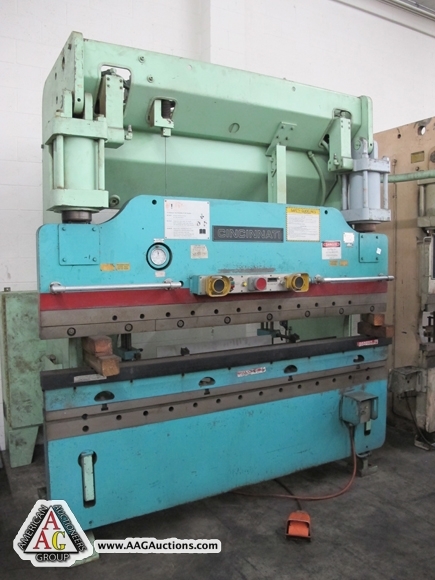 VERSON 4FT MECHANICAL PRESS BRAKE. 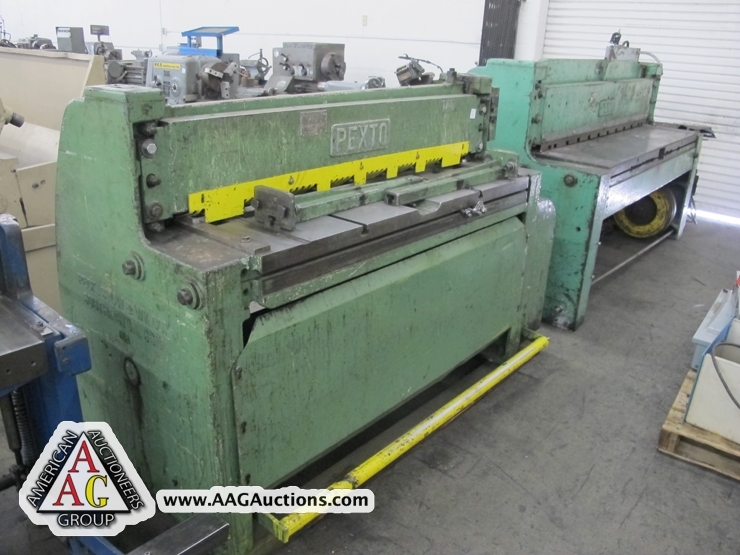 PEXTO 10-H-6 AND 12-U-4H, 6FT AND 4FT POWER SHEARS. 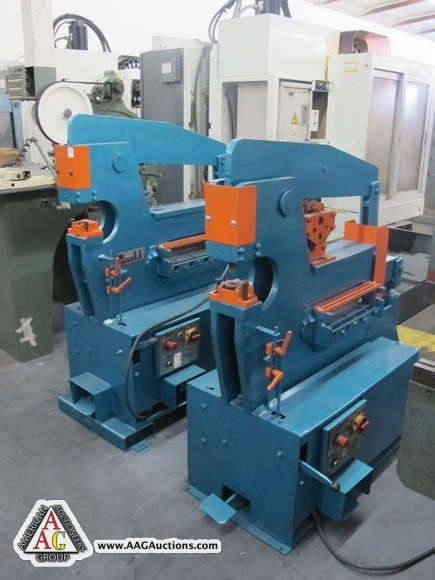 PROGRESSIVE 5FT SLITTER, LOCKFORMER ROLLFORMERS. 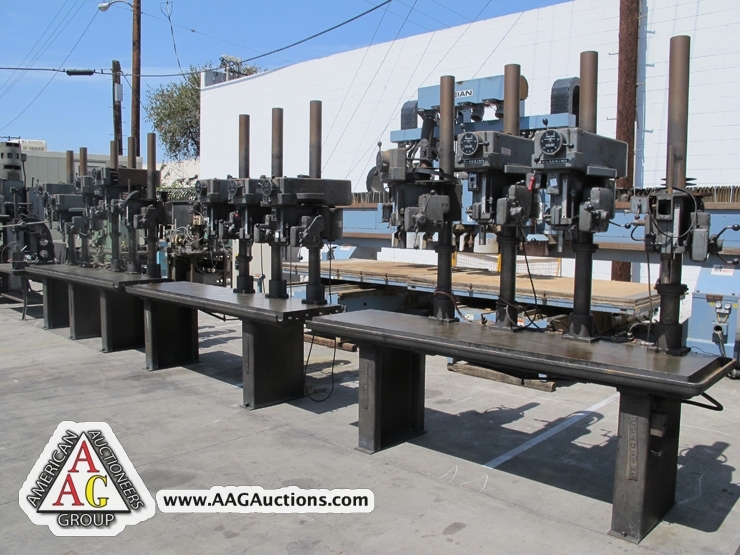 DO ALL VERTICAL BAND SAW WITH WELDER, 16’’. 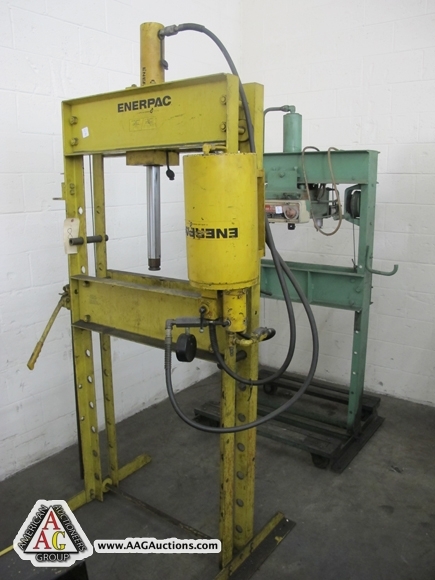 ENERPAC AND DAKE H FRAME PRESSES, 25 AND 70 TON. 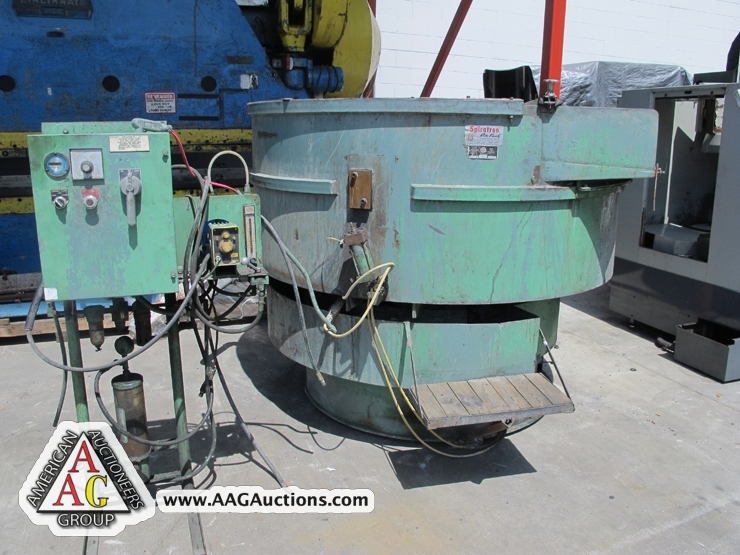 2) LARGE ROTO FINISH VIBRATORY TUMBLERS. 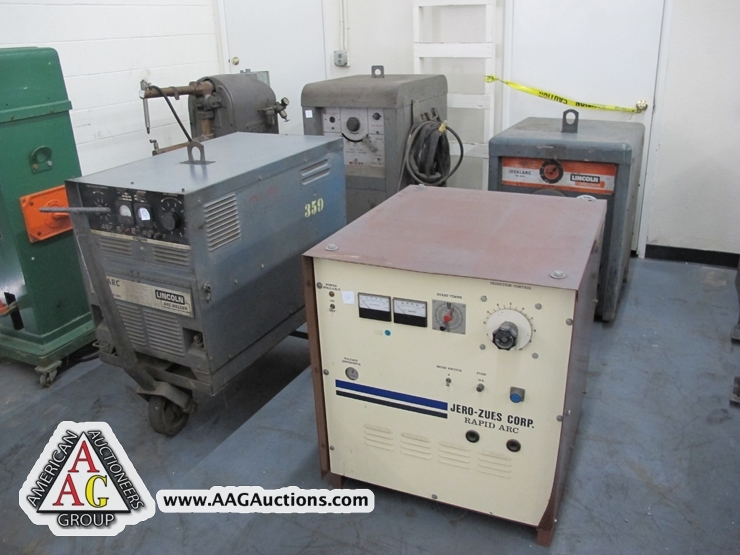 STYCO AND ACME 15 KVA SPOT WELDERS. 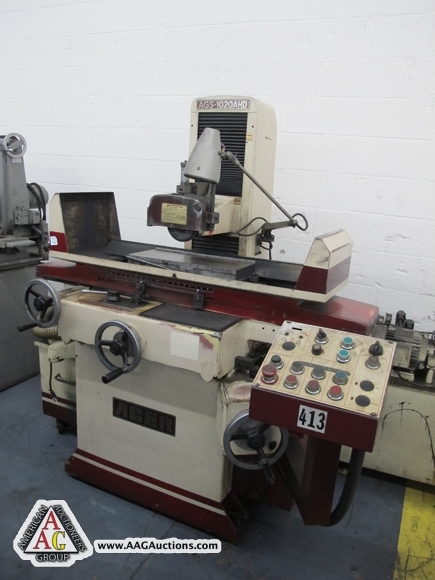 MORI SEIKI MODEL 1500G, GAP ENGINE LATHE. 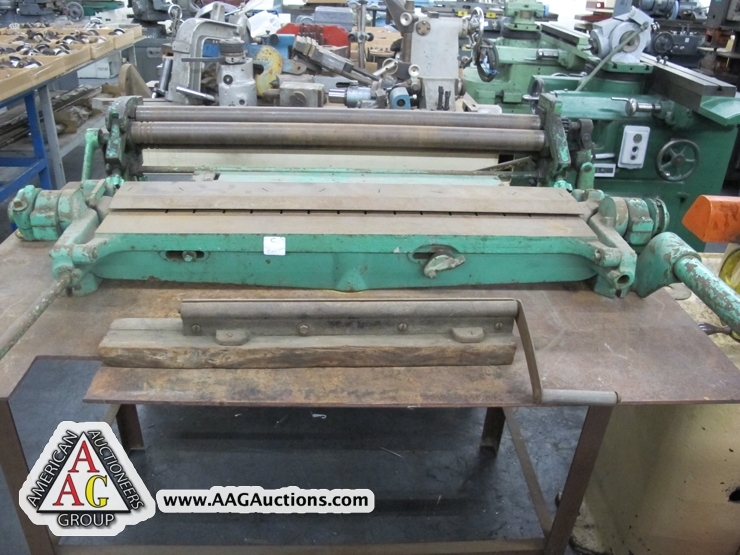 DO ALL 17’’ X 60’’ ENGINE LATHE. 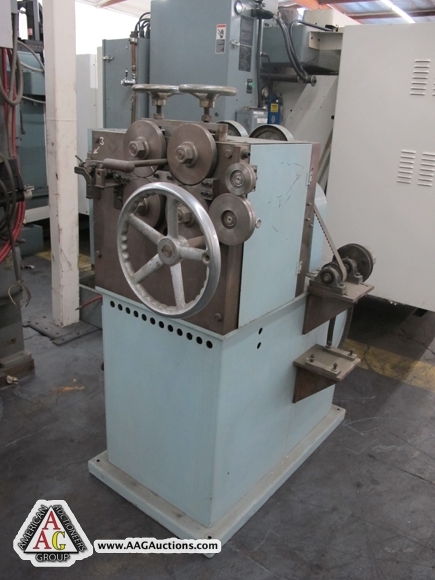 WEBB 20.5’’ X 60’’ ENGINE LATHE. 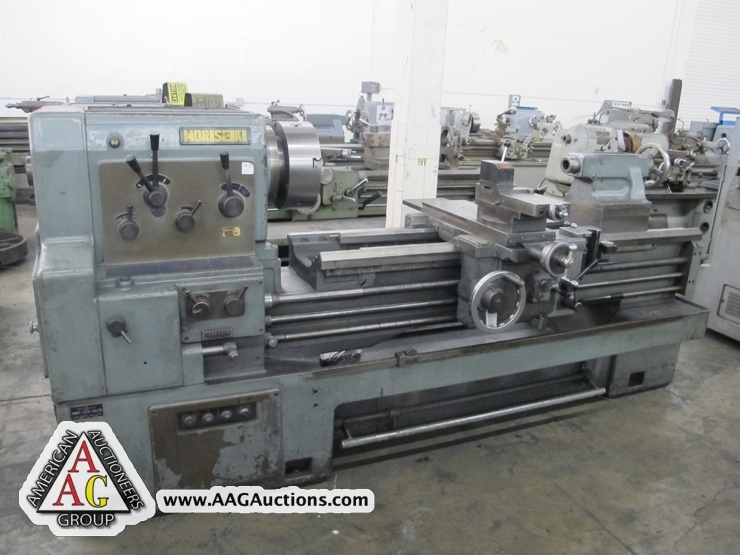 LION 28’’ X 60’’ GAP ENGINE LATHE, WITH TAPER, 4’’ THROUGH HOLE, 19’’ CHUCK, TOOLED. 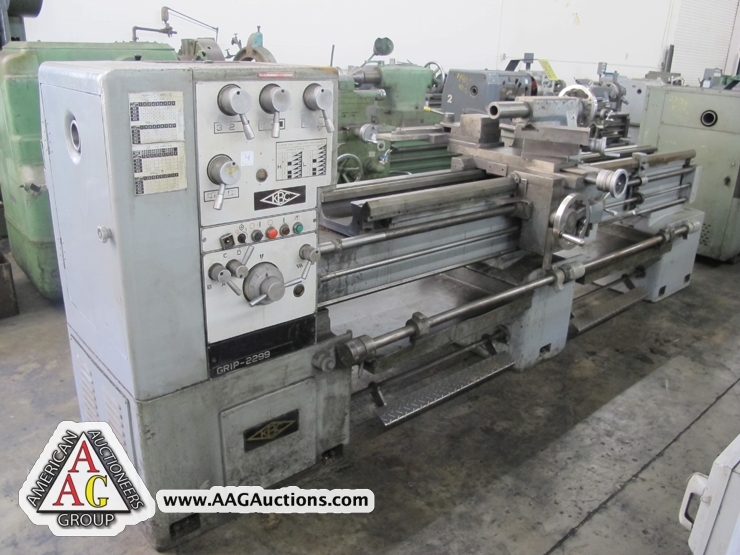 KBC 20’’ X 96’’ GAP ENGINE LATHE. 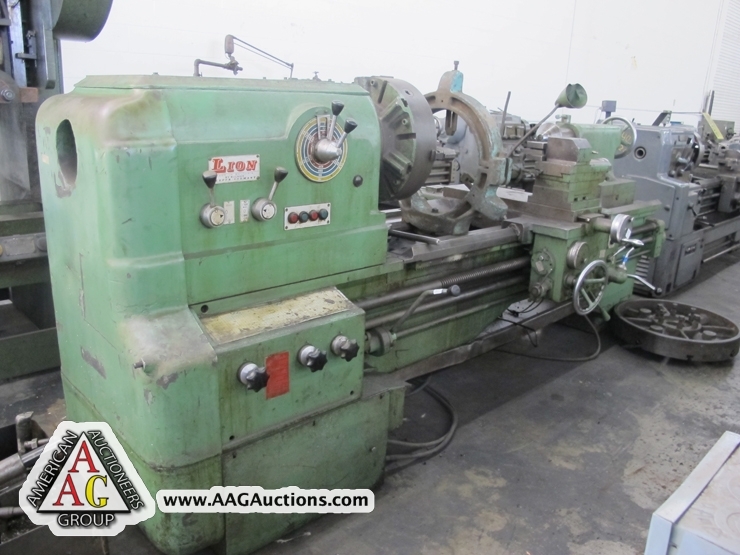 MEUSER 16 X 72 ENGINE LATHE. 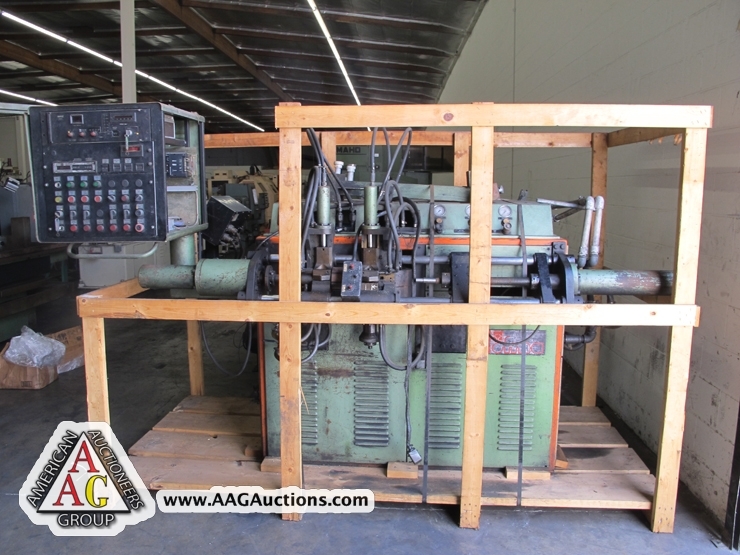 VICOTOR 20 X 80 ENGINE LATHE. 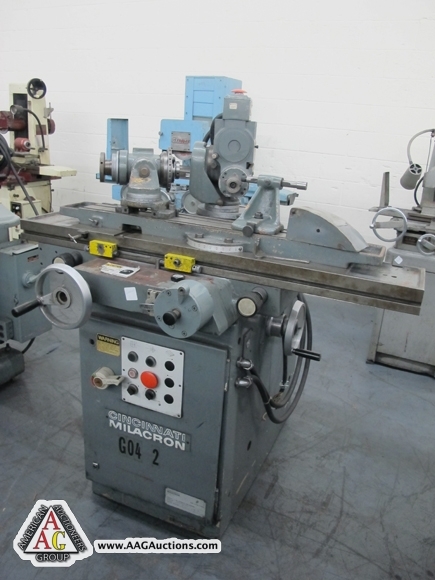 TARNOW 20 X 60 GAP ENGINE LATHE. 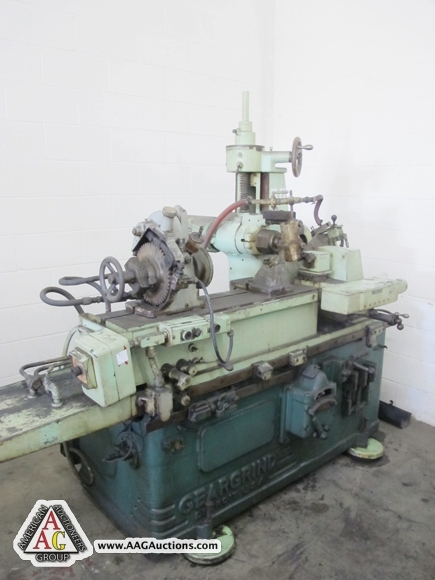 CLAUSING 20’’ X 120’’ ENGINE LATHE W/ 3.5’’ THROUGH HOLE, 15’’ CHUCK. 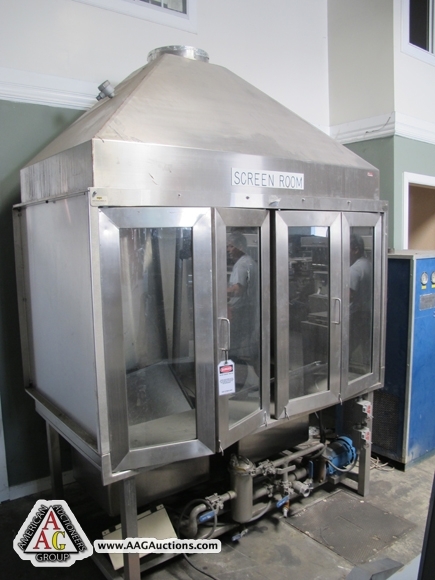 H.E.S. 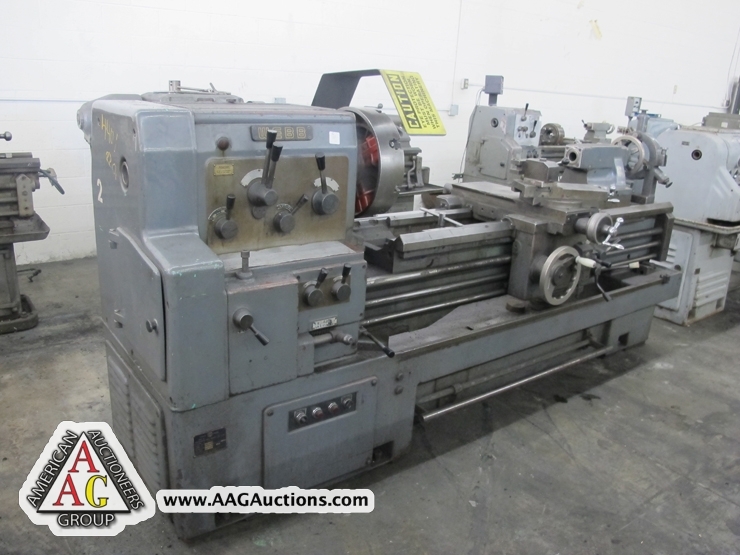 14 X 48 ENGINE LATHE. 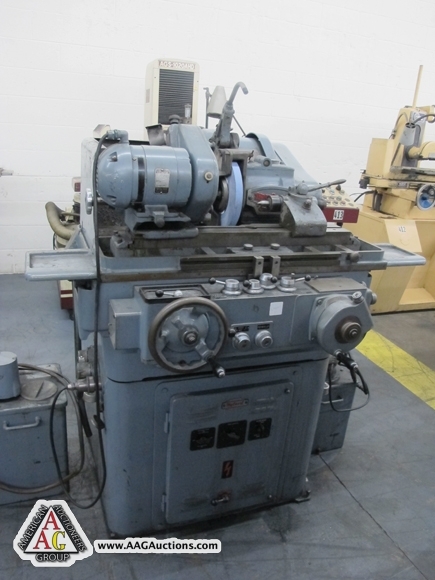 LEBLOND 16’’ X 72’’ ENGINE LATHE. 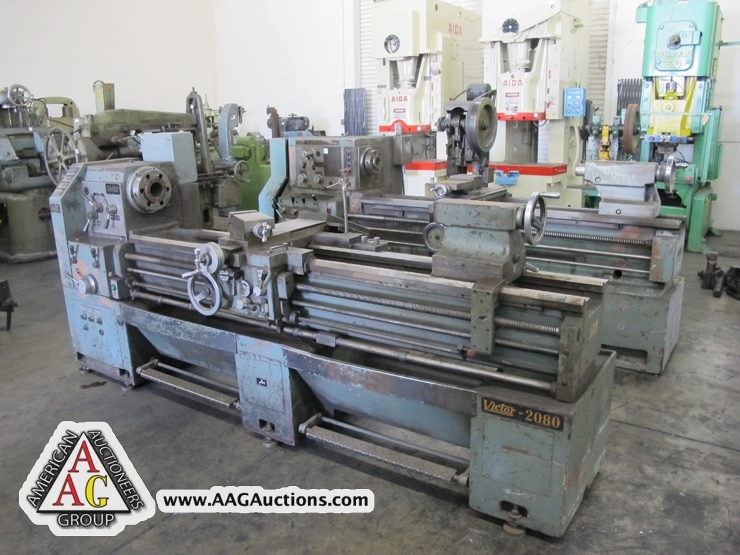 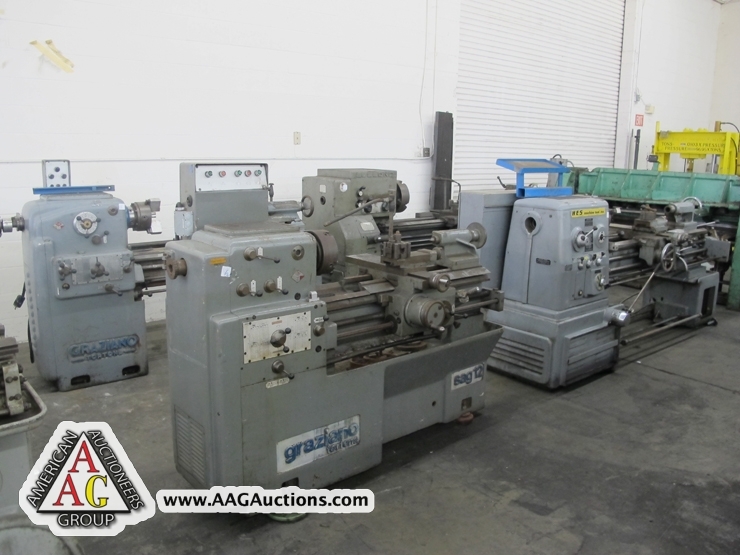 2) GRAZIANO SAG 180 AND SAG 12 ENGINE LATHES. 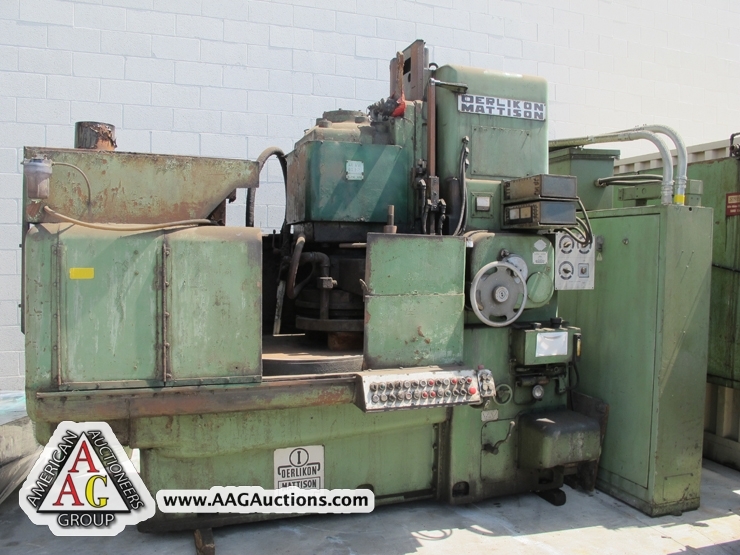 GOODWAY 14’’ X 60’’ ENGINE LATHE WITH DRO. 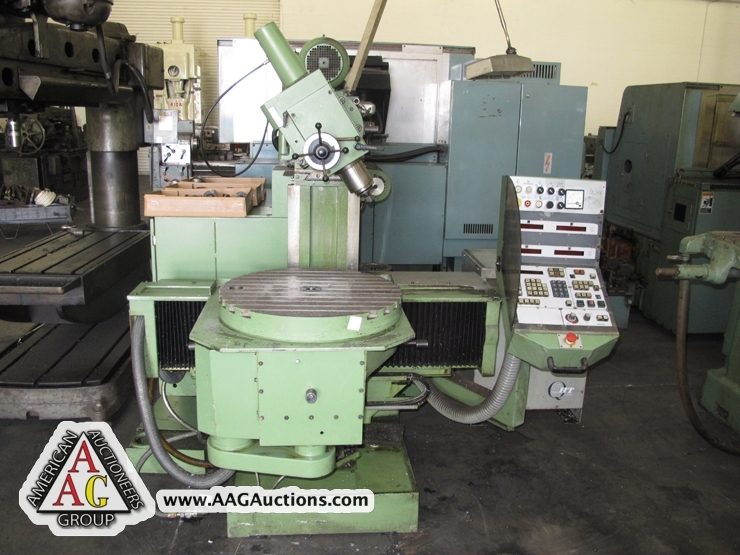 ACER VERTICAL MILL WITH DRO. 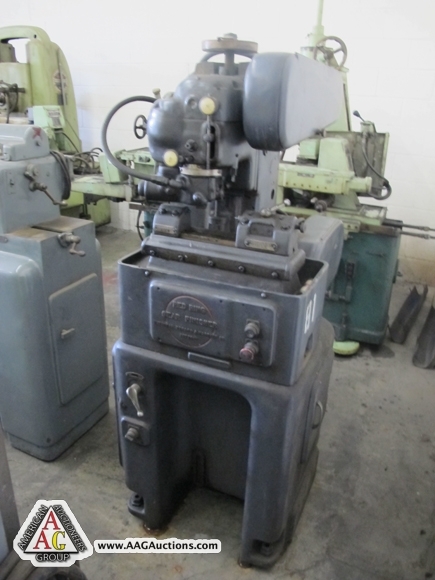 LAGUN VERTICAL MILL VAR SPD. 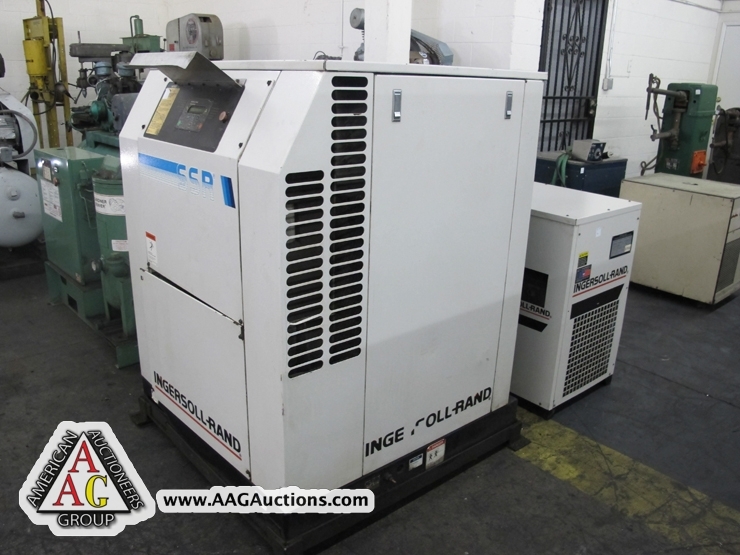 AND DRO. 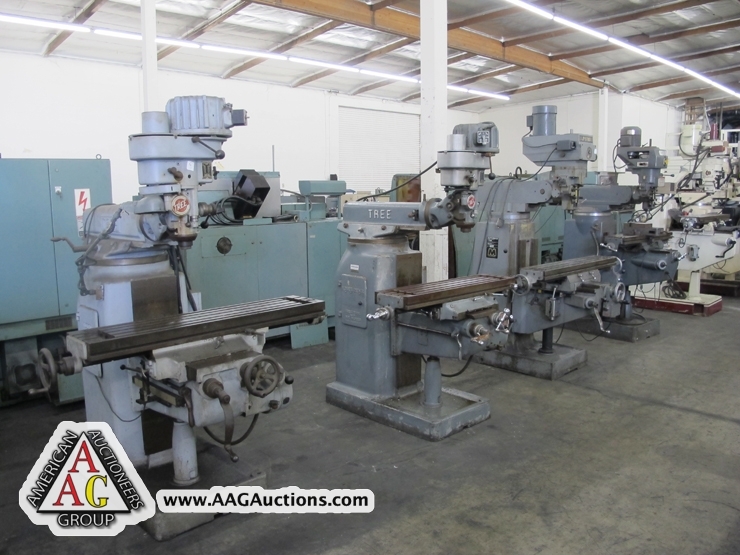 2) TREE VERTICAL MILLING MACHINES. 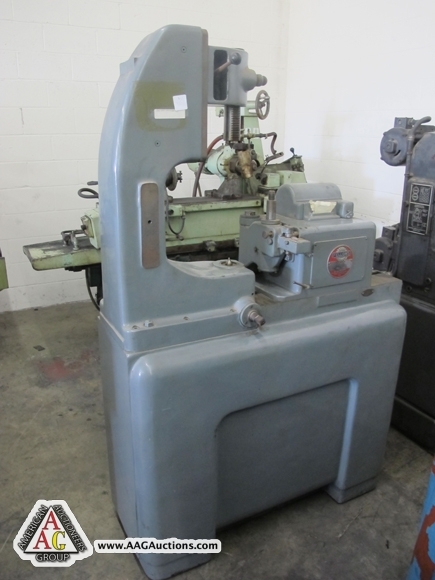 FOSDICK 12’’ X 4FT RADIAL DRILL PRESS STEP JOE METAL SHAPER. 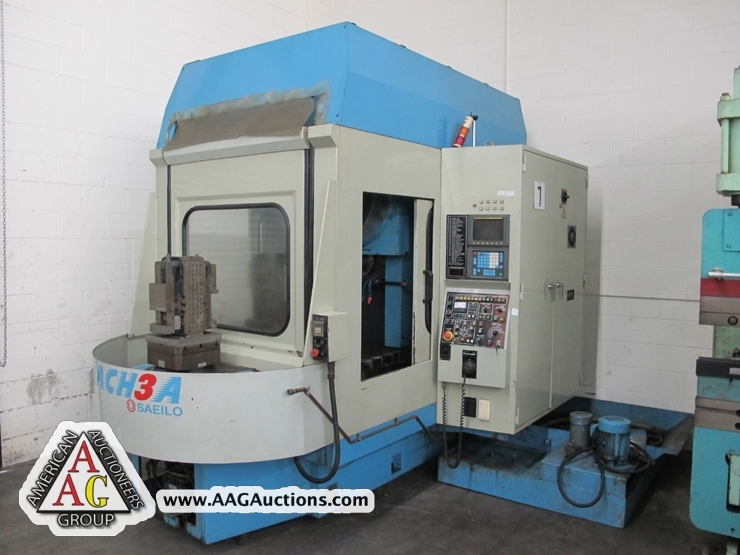 CHEVALIER CNC BED MILL, WITH DYNAPATH FM2040MB CONTROL. 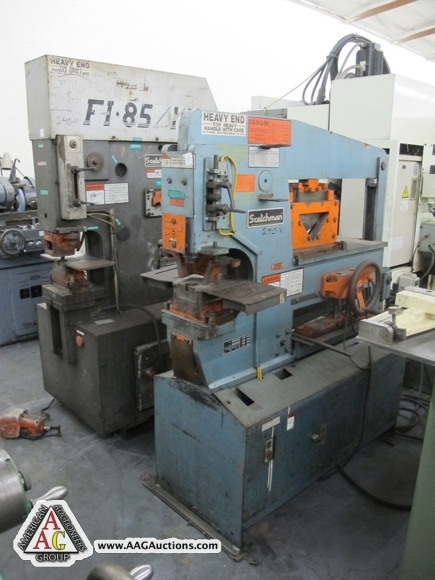 CHEVALIER FALCON CNC MILL WITH DYNAPATH CONTROL. 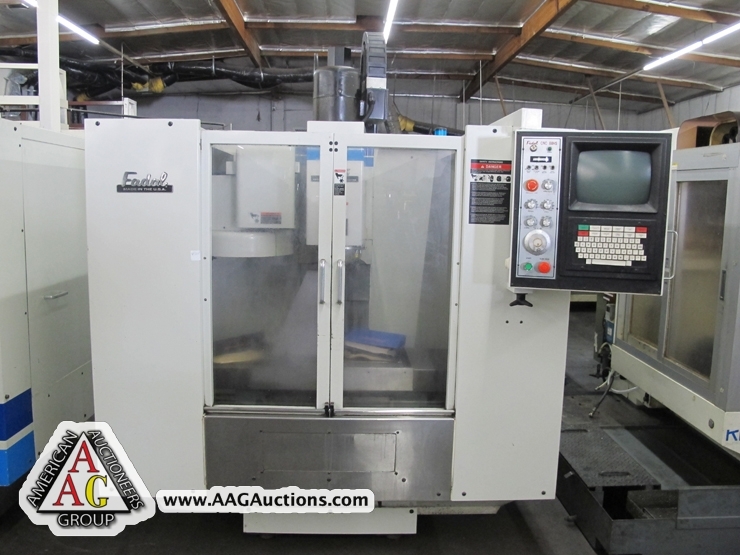 EAGLE CNC BED MILL WITH ANILAM SERIES 1400 CONTROL, DR-V3000CNC, S/N 8515 MORI SEIKI SL-3 CNC LATHE WITH FANUC 6T CONTROL. 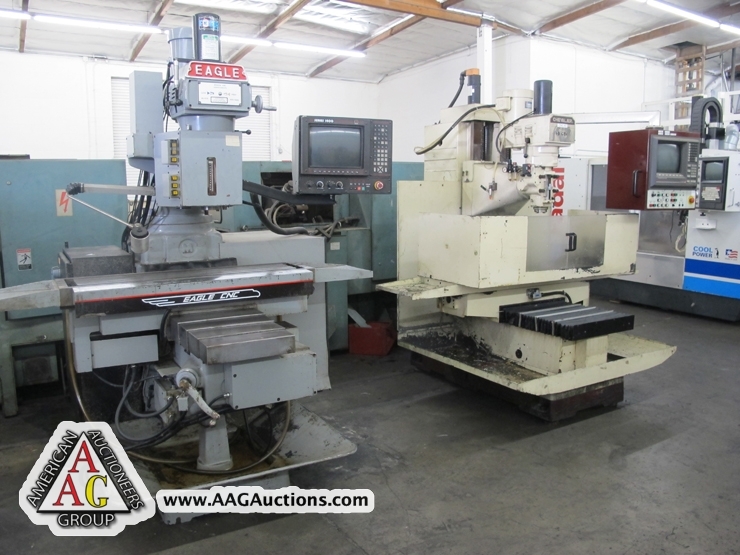 2) MORI SEIKI SL-3 CNC LATHE WITH YASNAC CONTROL. 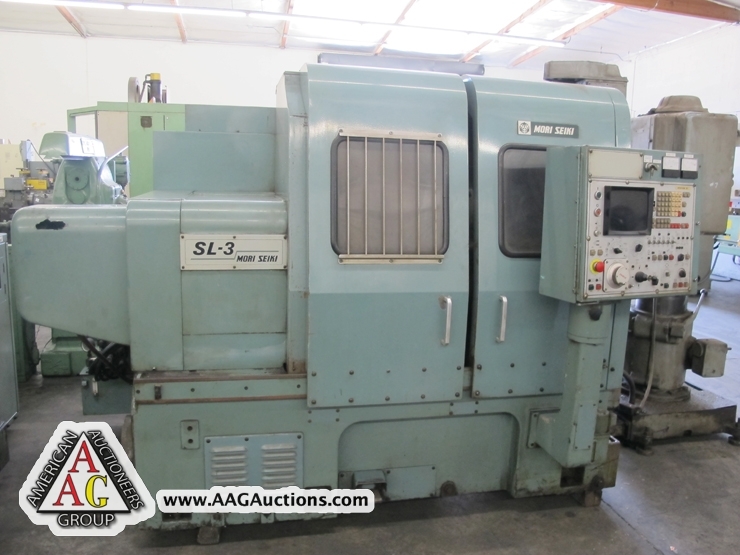 2) MORI SEIKI SL-1 CNC LATHE. 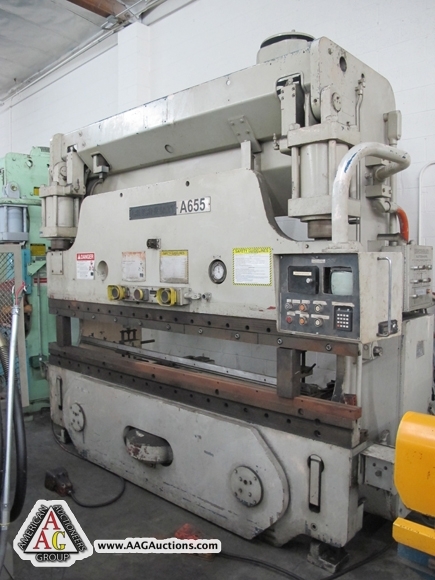 MORI SEIKI TL-5 CNC LATHE WITH YASNAC 2000 CONTROL. 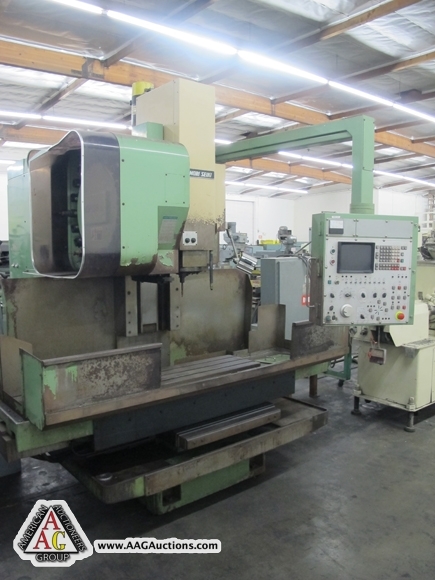 MORI SEIKI MV 35 VMC, WITH FANUC CONTROL. 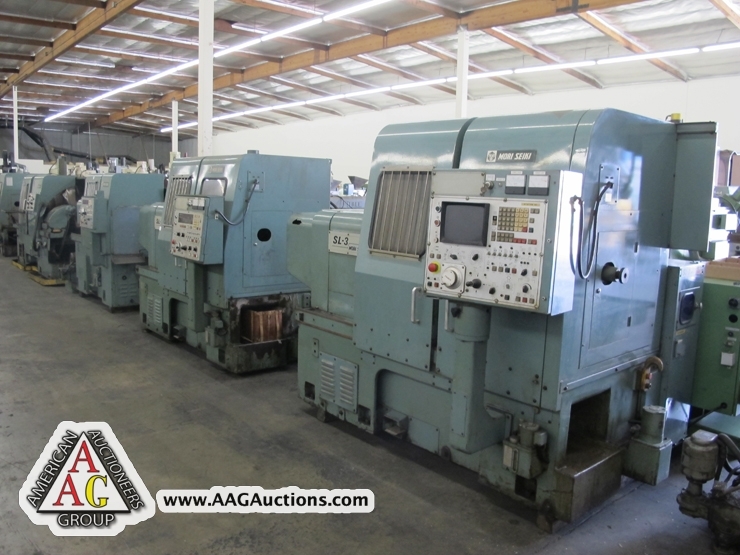 HITACHI SEIKI VMC WITH 6M CONTROL, 24 ATC. 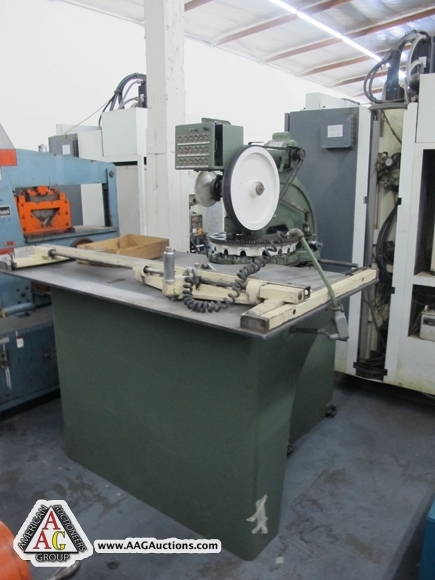 HITACHI SEIKI 4NE-600, CNC LATHE WITH FANUC 6 CONTROL. 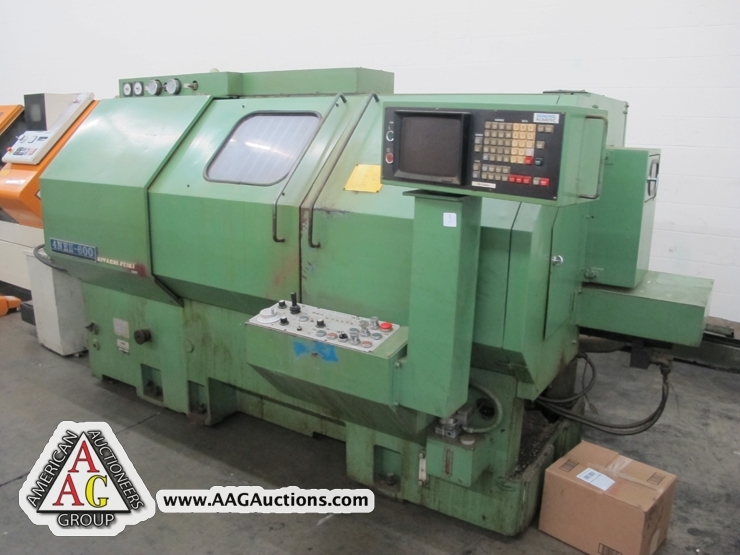 SAEILO CNC HMC, WITH FANUC OM CONTROL, 12 X 12 PALLETS, 40 TAPER, 24 ATC, S/N SE31290124 AND 1ACH3A. 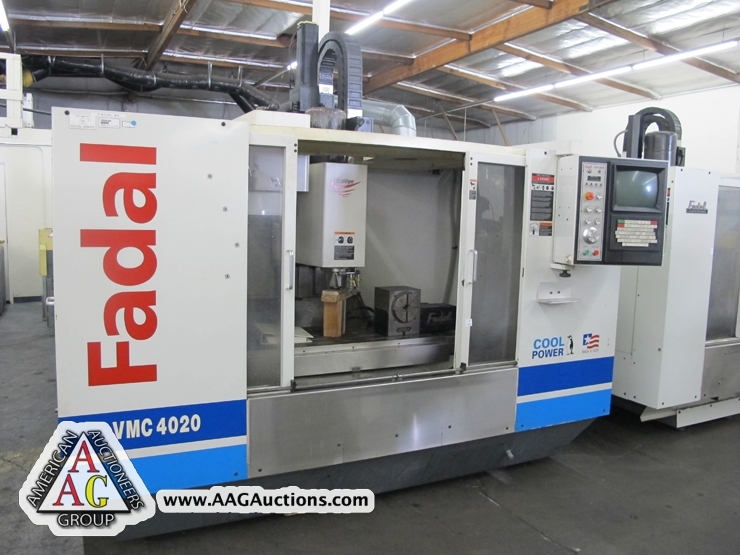 1999 FADAL VMC-4020 CNC, WITH 15,000 RPM, CT40, 4TH AXIS, S/N 9907028. 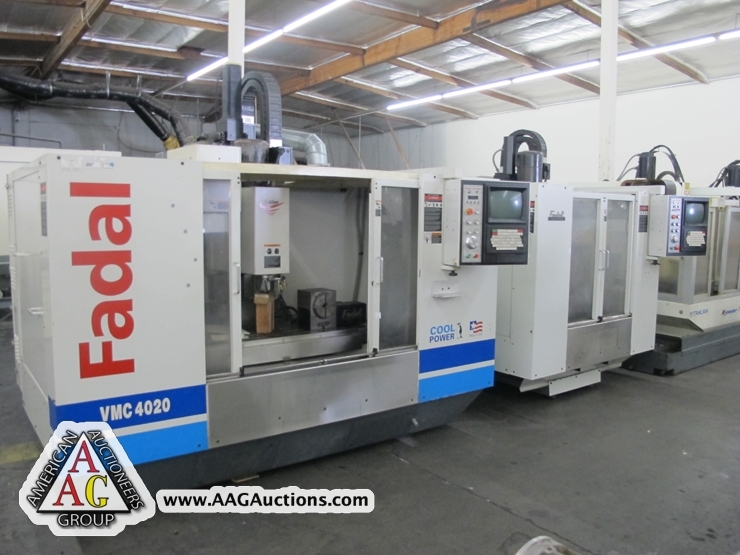 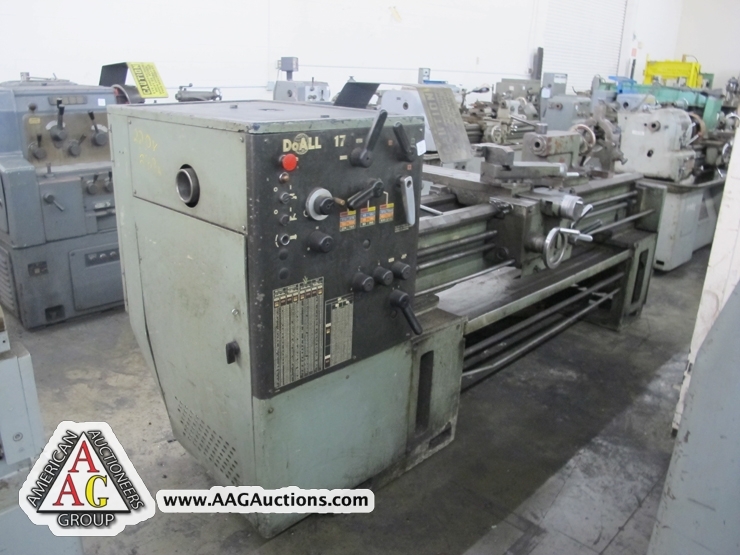 1994 FADAL VMC-15RT CNC, CT40, S/N 9401415. 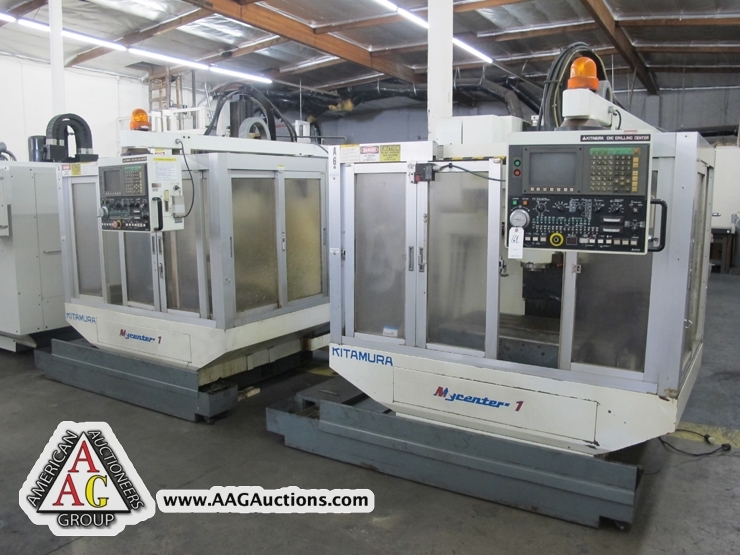 2) KITAMURA MYCENTER 1 CNC VMC, 13,000 RPM, S/N 02975,03032. 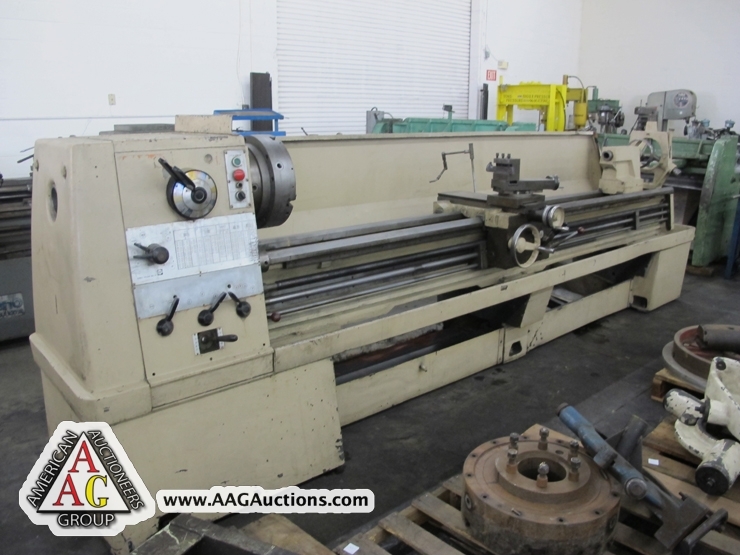 1984 LEBLOND MAKINO COUNT 15 CNC LATHE, 12 POS TURRET, TAIL STOCK, CHIP CONVEYOR. 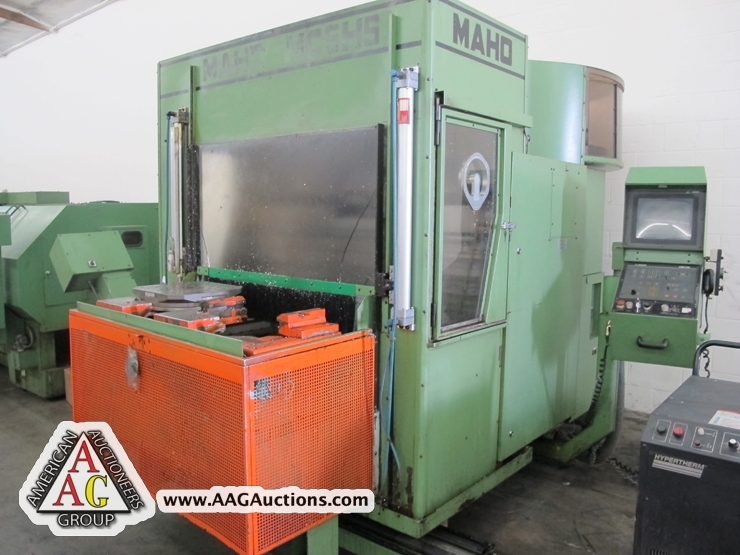 1982 MAHO 700C UNIVERSAL CNC MILL, MULTI AXIS, AND TOOLING, S/N 1982. 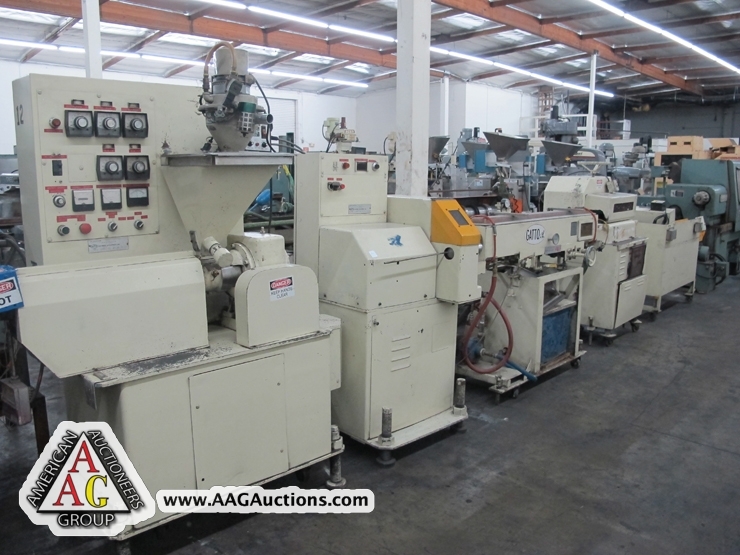 1988 MAHO HMC, MODEL MC5HS, 16 X 16 PALLETS, CNC 432, CHIP CONVEYOR, S/N 58037. 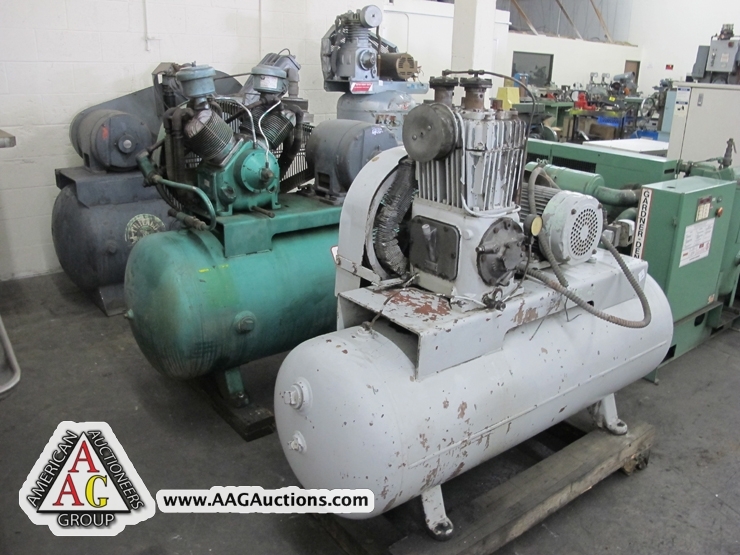 IR SSR ROTARY AIR COMPRESSOR WITH DRYER. 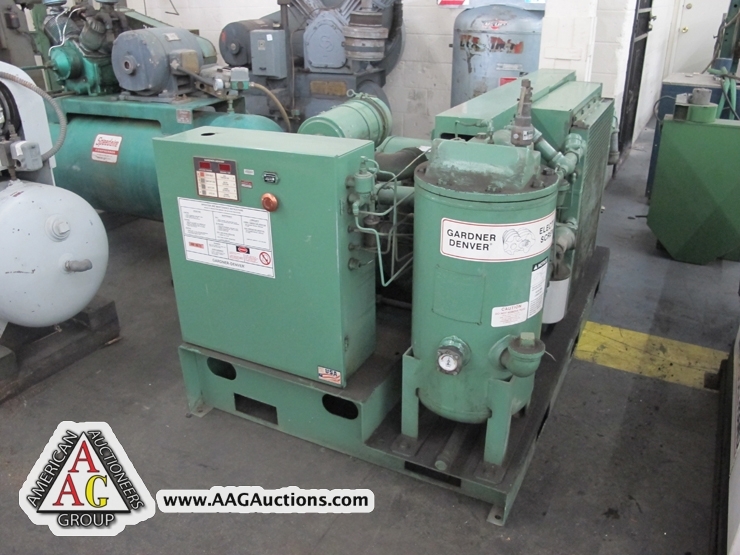 GARDNER DENVER 50 HP ROTARY AIR COMPRESSOR. 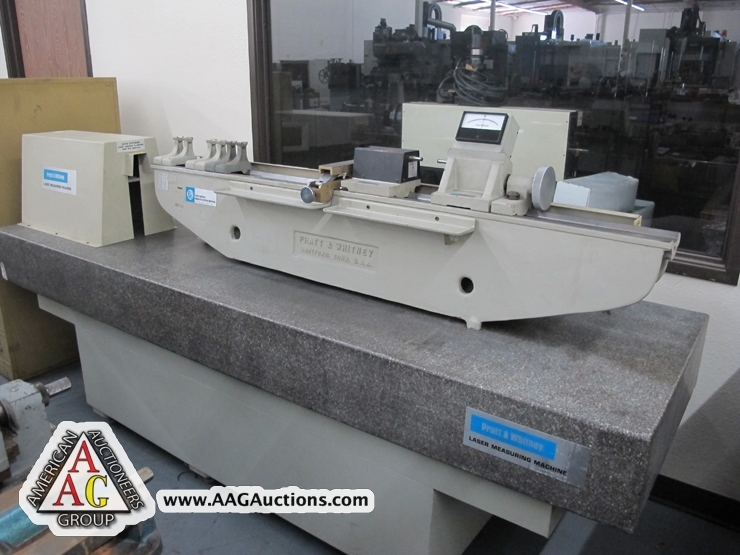 PRATT & WHITNEY LASER MEASURING SYSTEM WITH BASE. 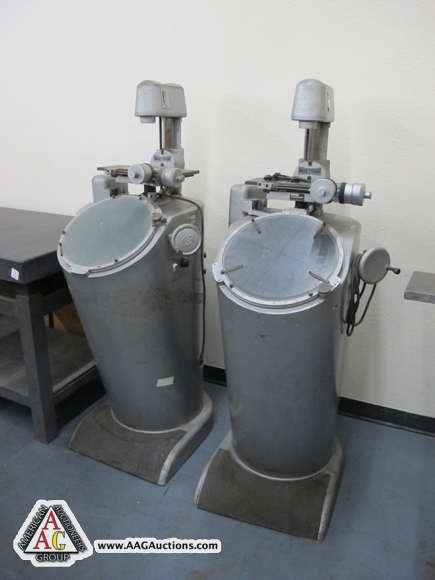 2) SCHERR TUMICO 14’’ OPTICAL COMPARATORS. 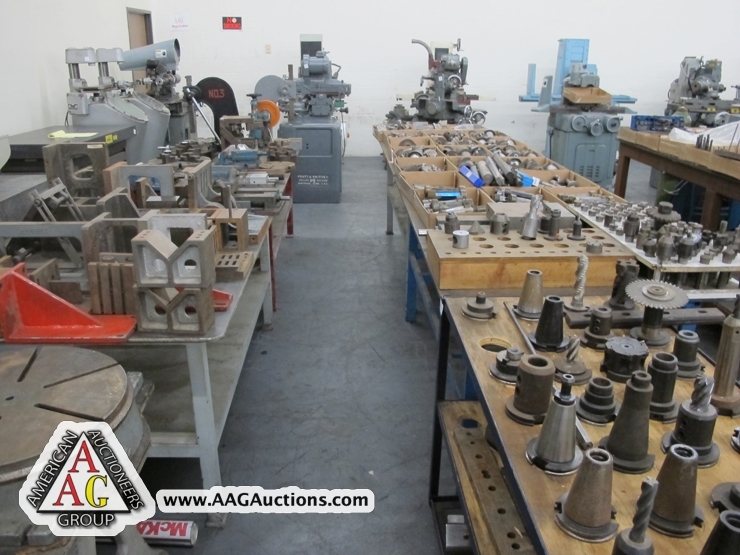 HARDNESS TESTERS, MEASURING EQUIPMENT AND ETC. 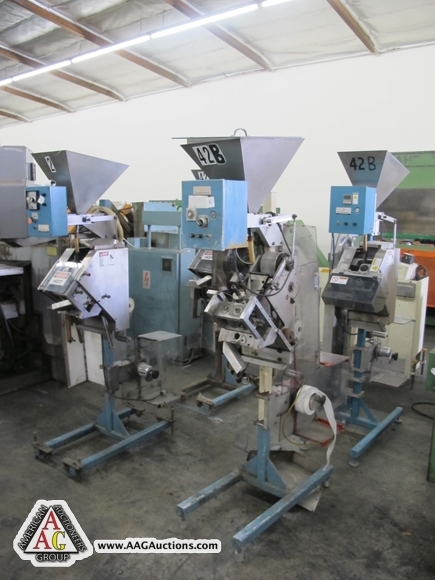 GATTO COMPLETE EXTRUSION LINE, WITH 1-1.25-VB PLASTIC EXTRUDER, TANK, PULLERS, S/N 8610932. 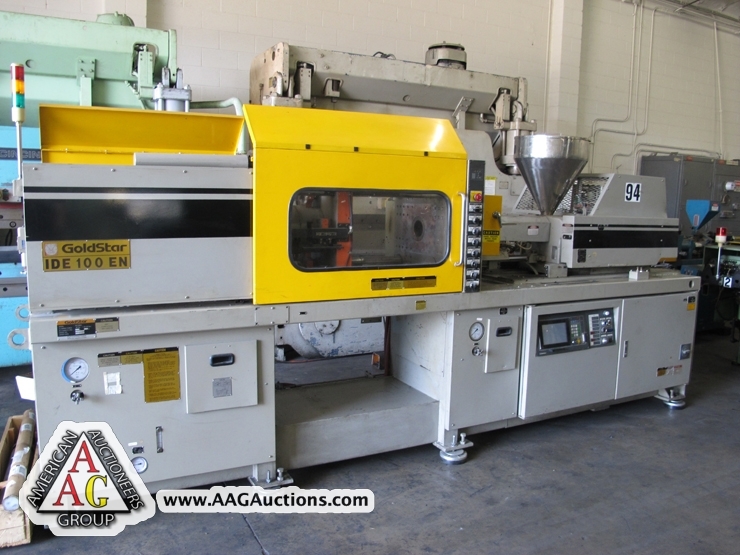 1995 GOLD STAR IDE100, 90 TON INJECTION MOLDER. 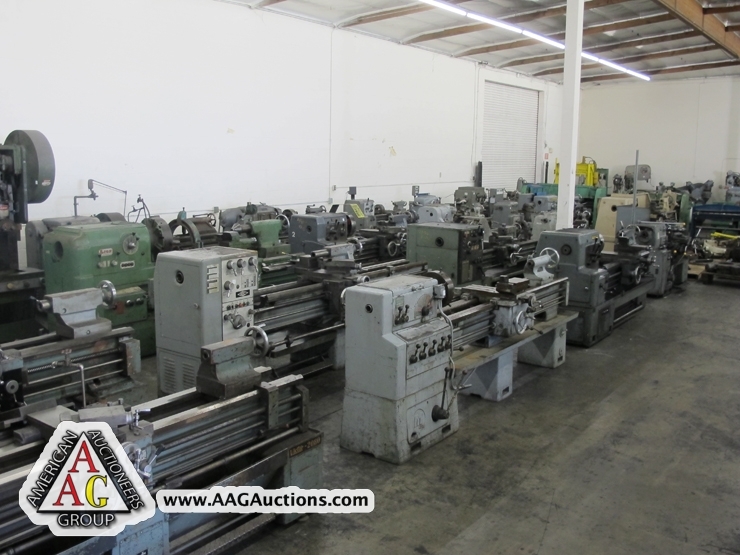 2) BOY 15S AND ARBURG INJECTION MOLDERS. 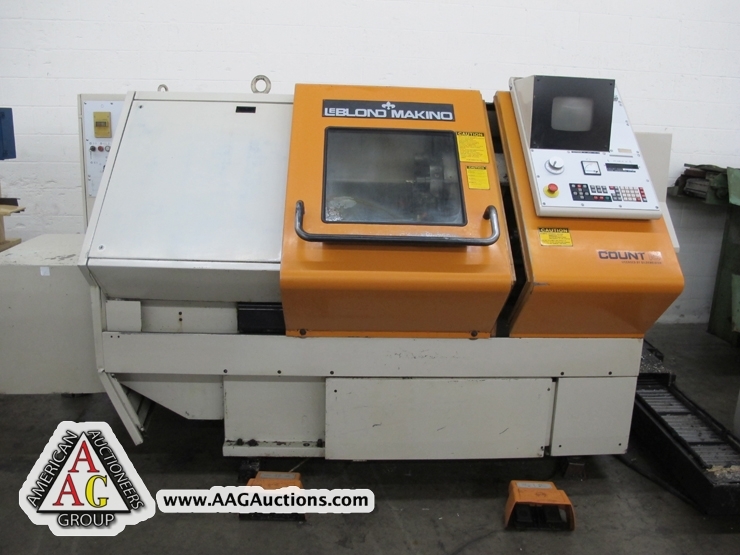 HEIAN CNC ROUTER, 4 HEAD, WITH FANUC 180i- M CONTROL. 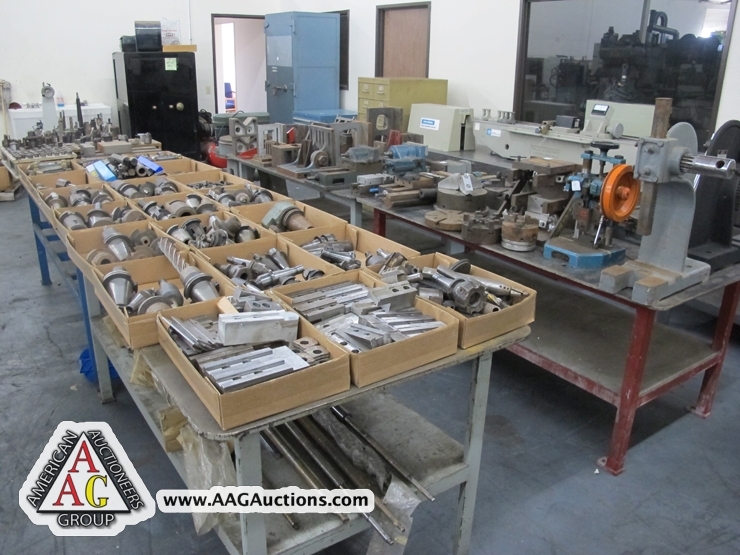 CT 40 HOLDERS, TOOLS, HAND AND POWER TOOLS. 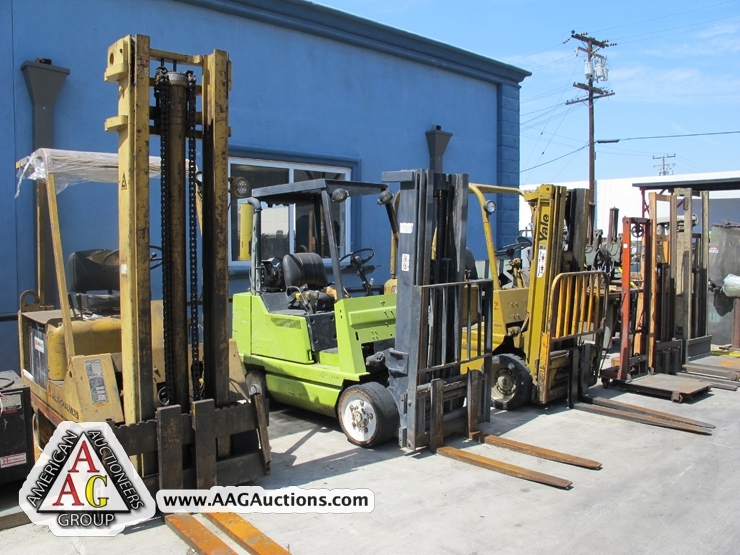 6) FORKLIFTS, OFFICE TRAILER, JIB CRANES, HOISTS.